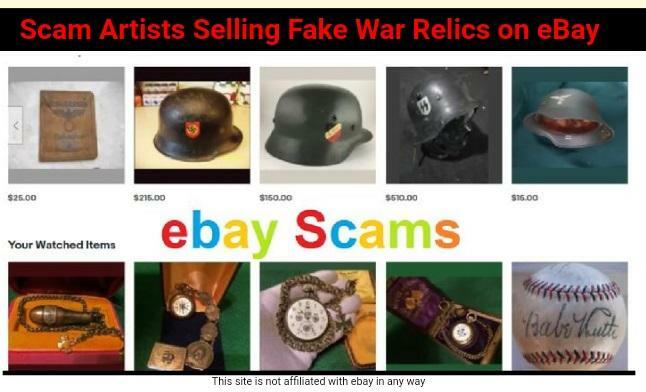 Keeping you up to date on the latest internet scams since 2005! 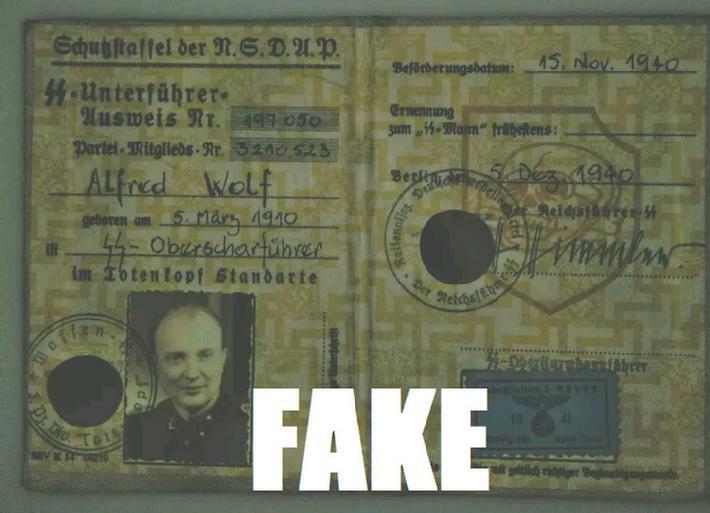 Even More Docs & IDs! 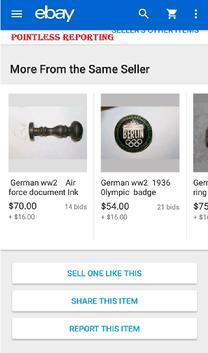 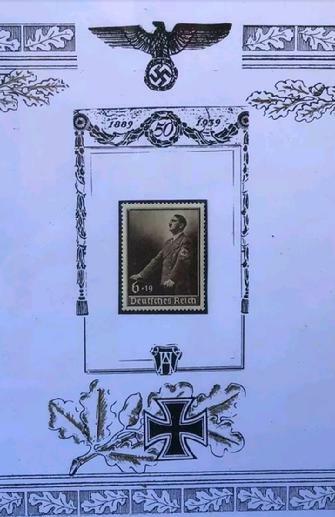 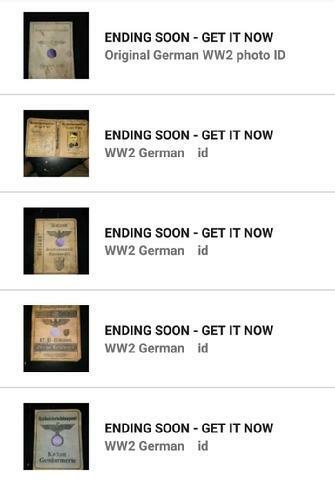 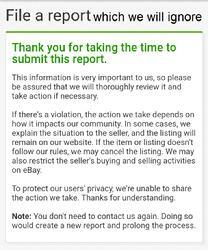 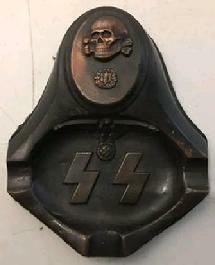 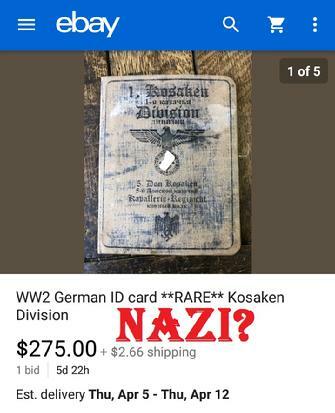 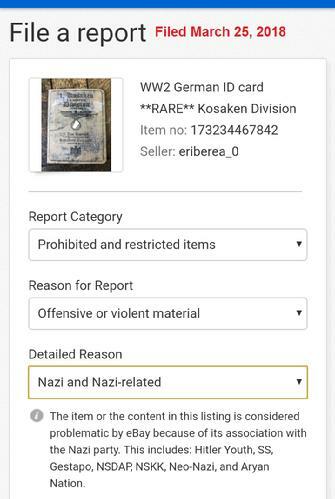 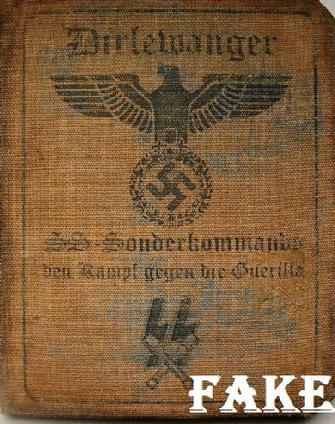 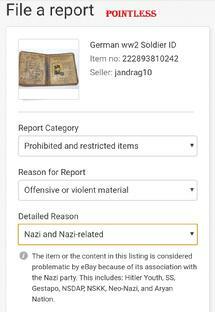 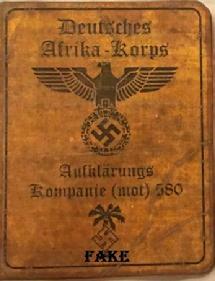 Yes, it is against eBay policy to sell Nazi related items on the auction site; yet twenty four hours a day, seven days a week, 356 days a year one can find over thirty thousand such listings on the site. 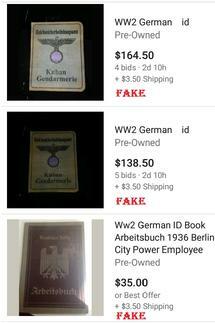 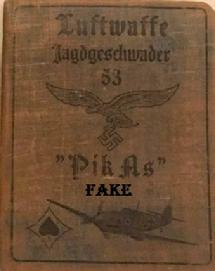 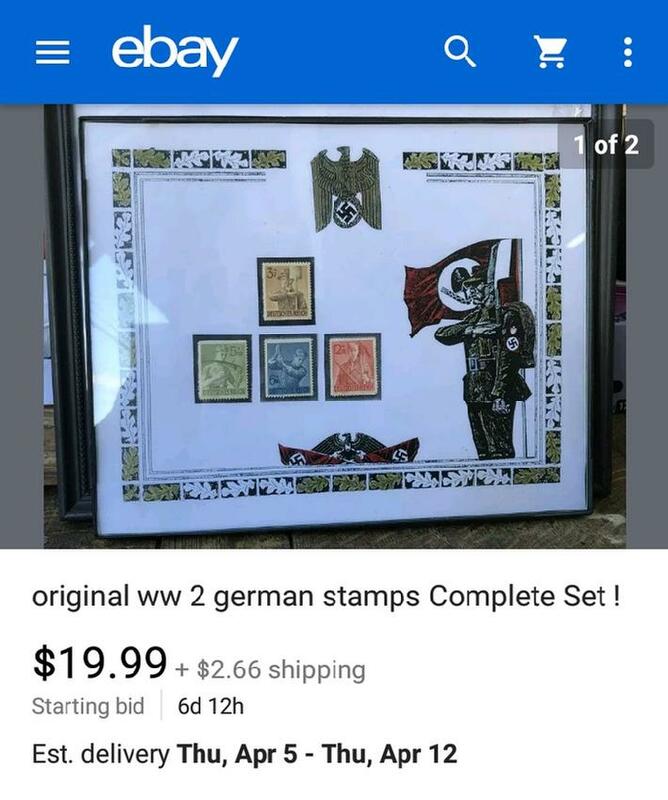 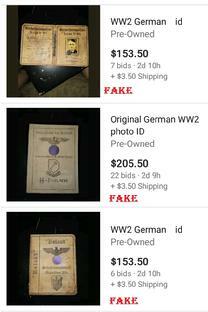 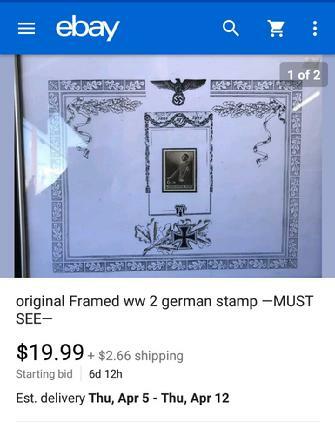 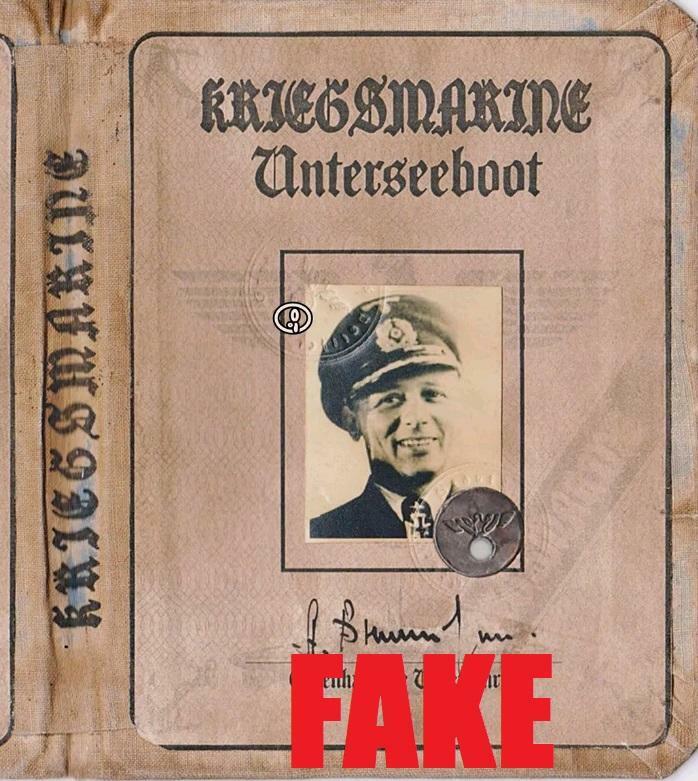 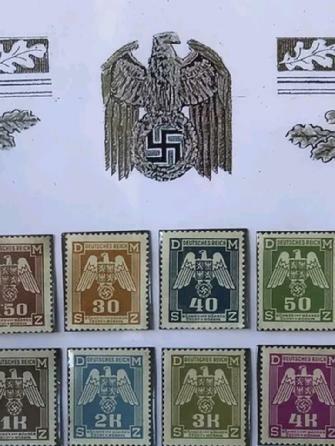 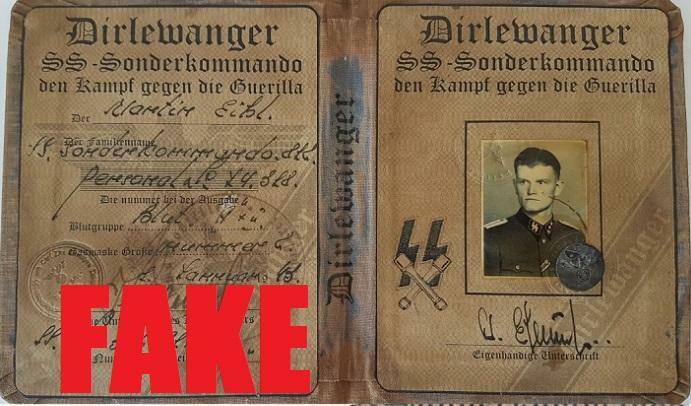 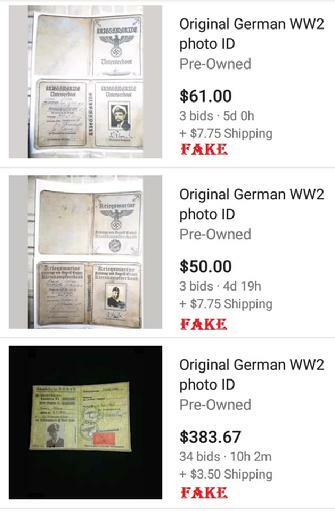 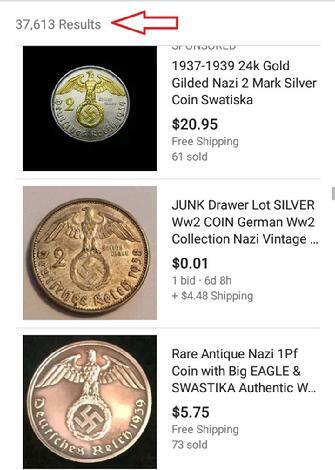 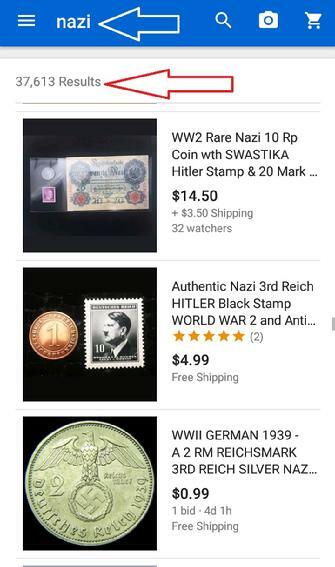 A majority of these propaganda items are fakes, and I do wonder if eBay chooses profit over their own policy against knock-offs and Nazi items. 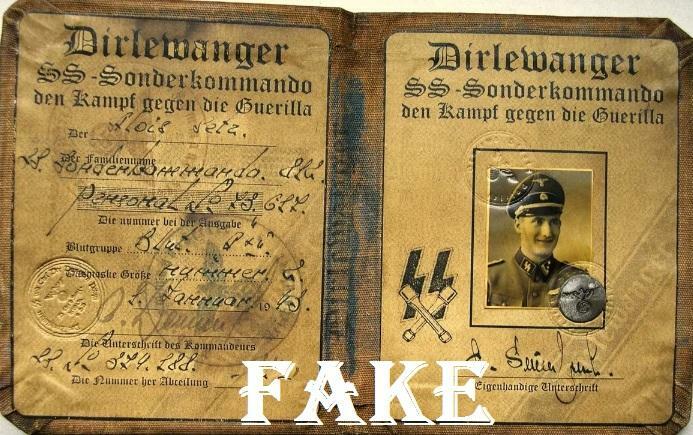 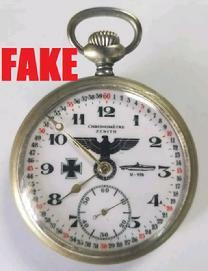 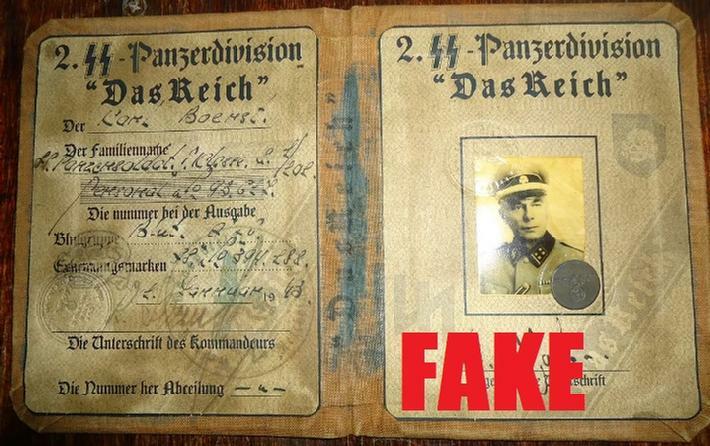 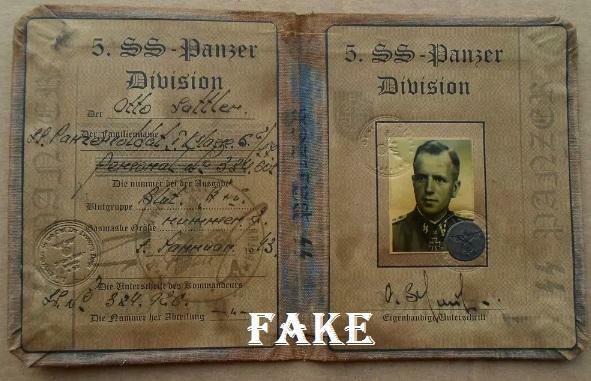 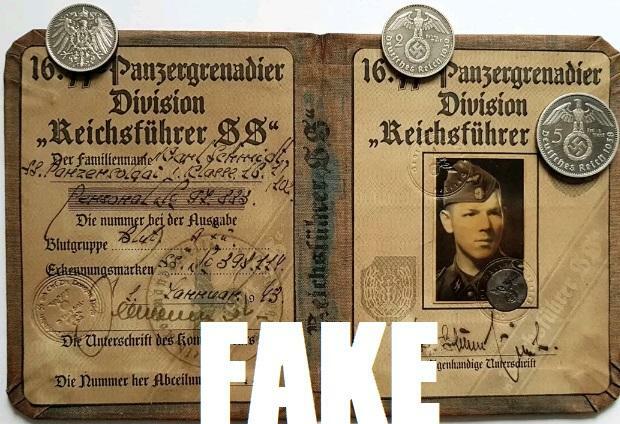 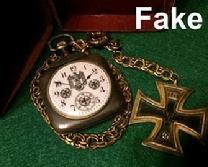 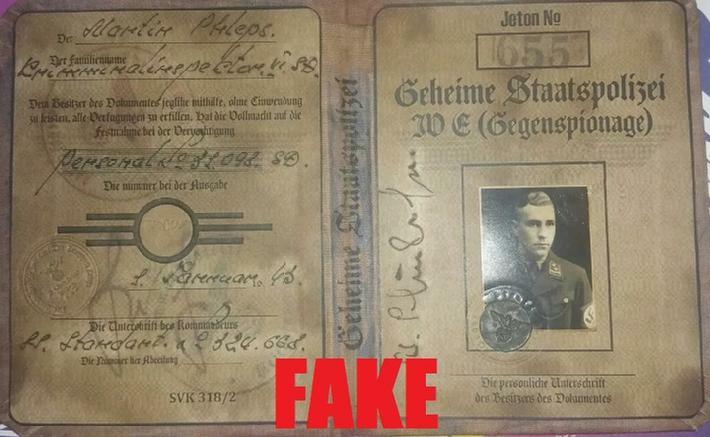 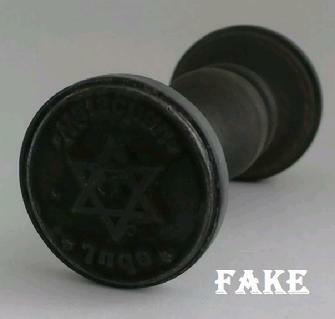 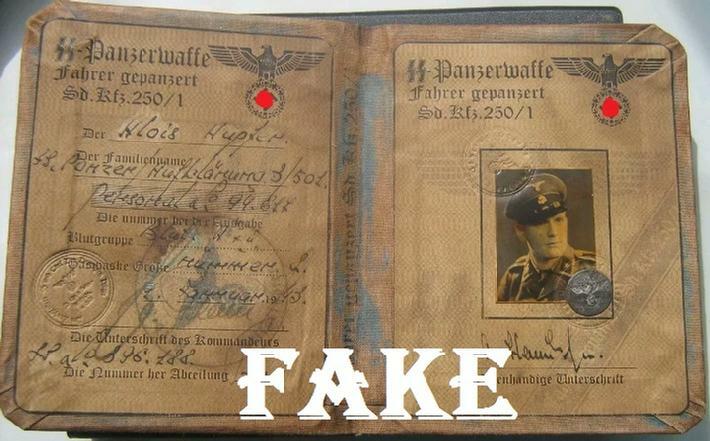 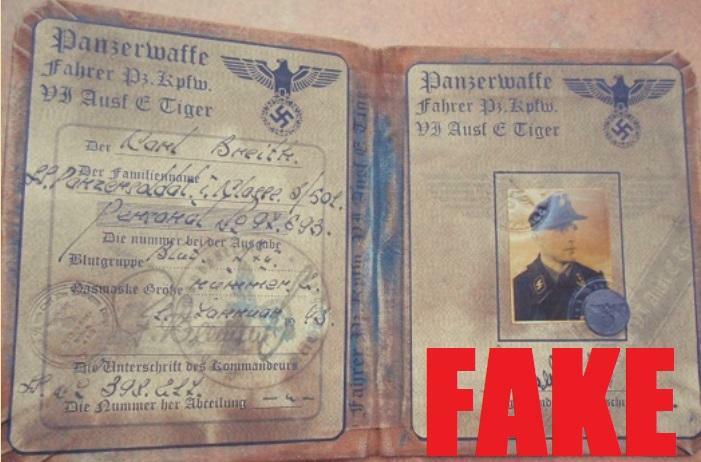 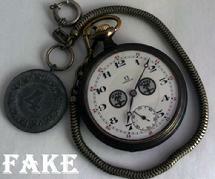 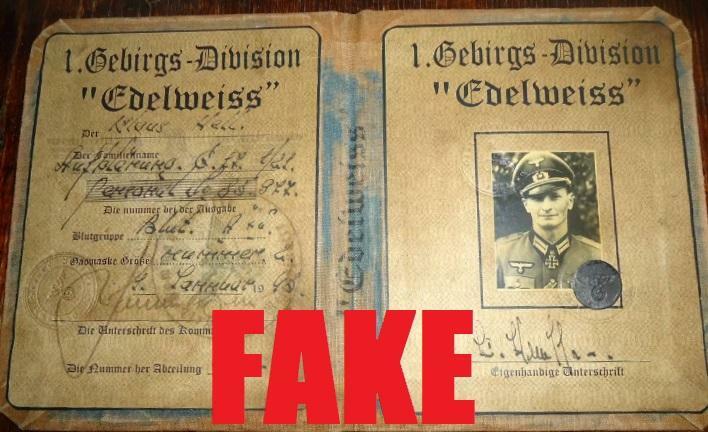 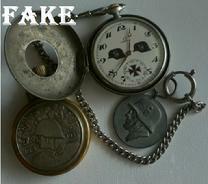 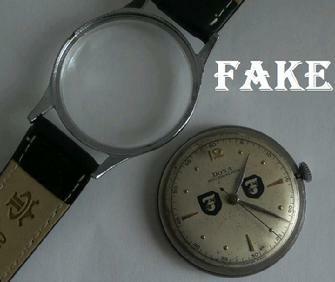 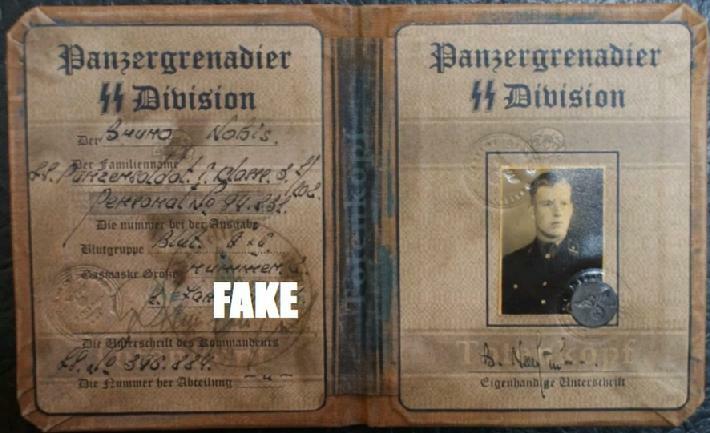 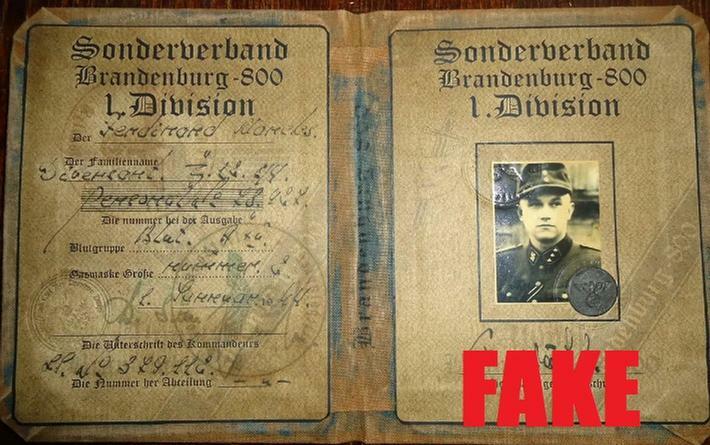 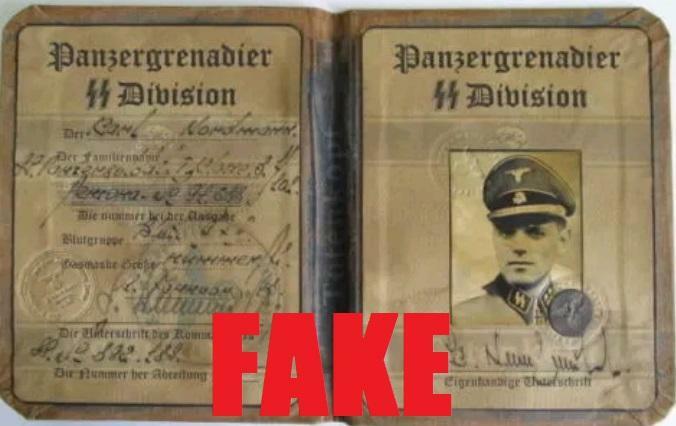 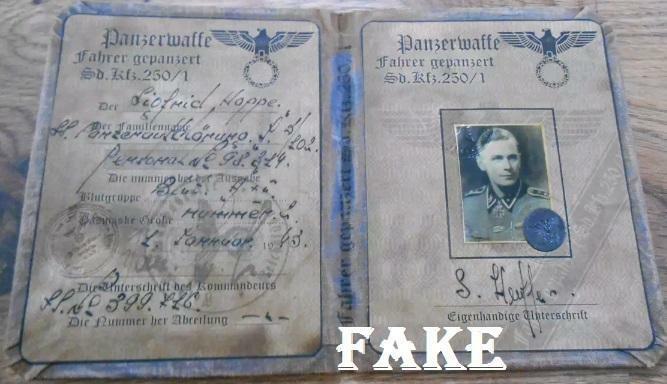 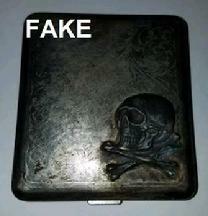 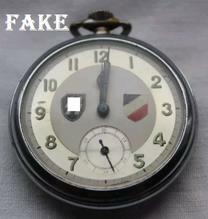 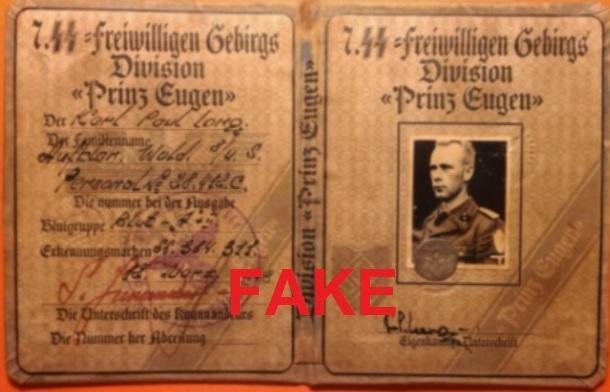 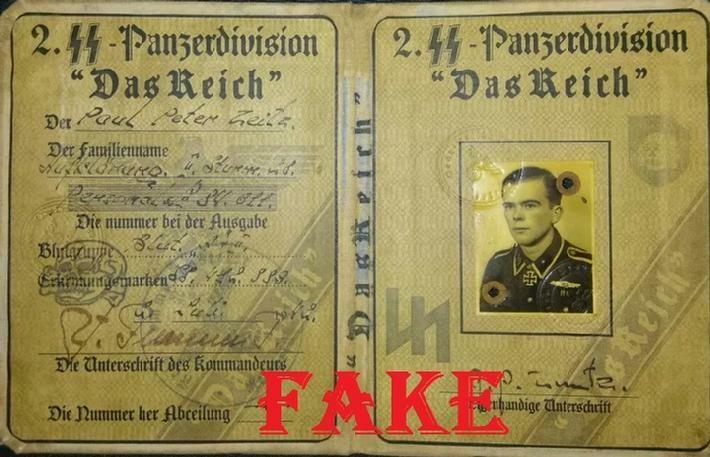 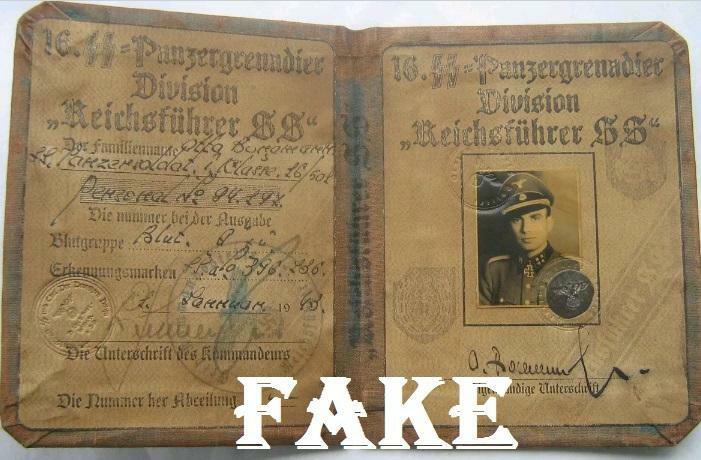 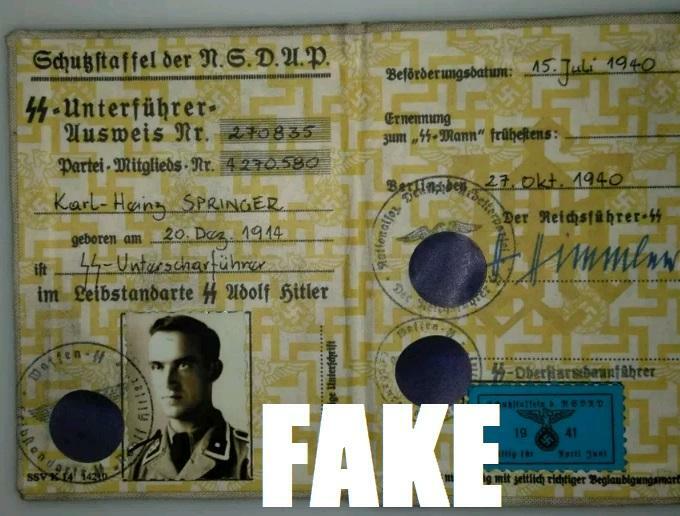 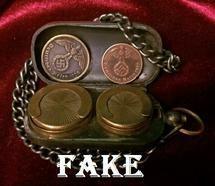 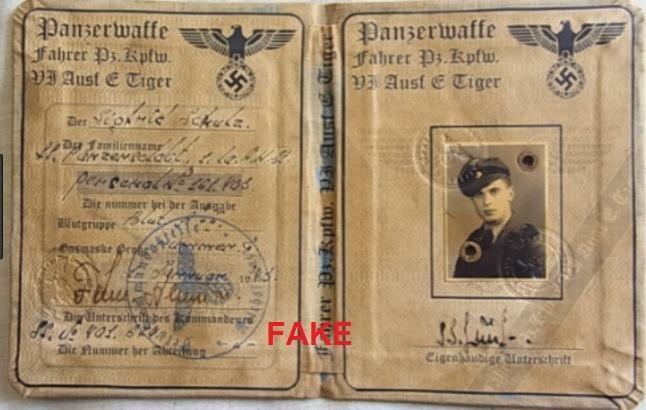 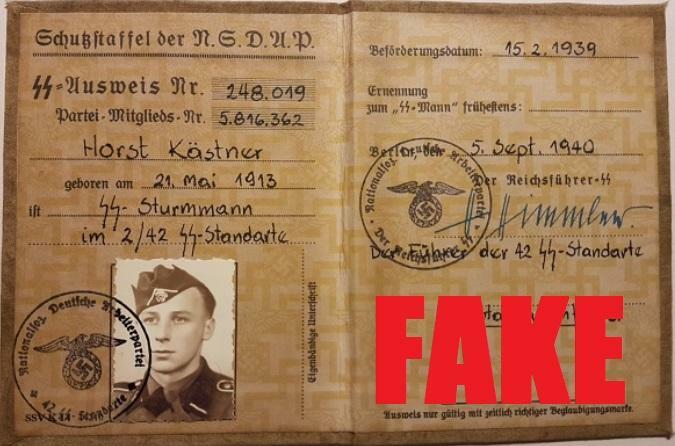 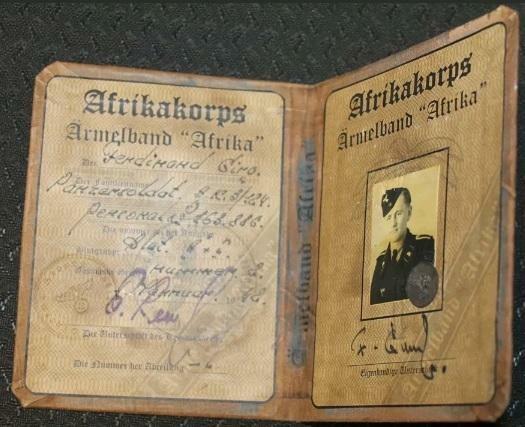 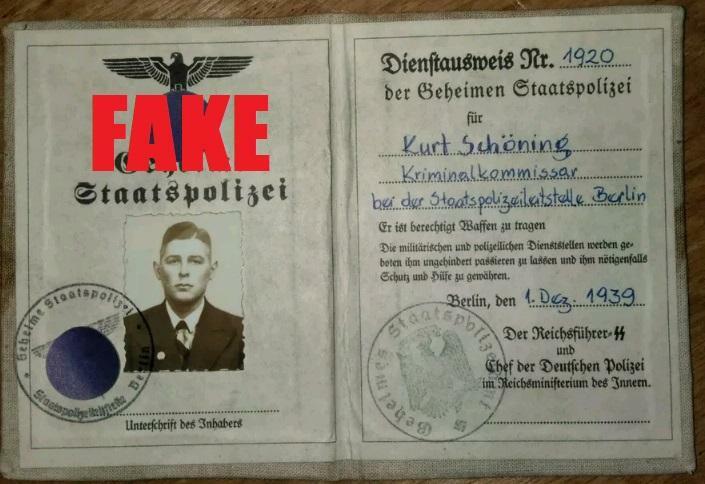 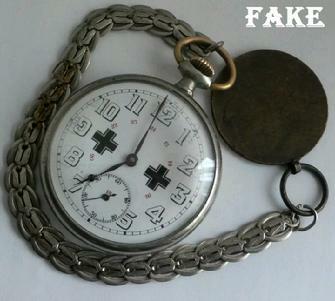 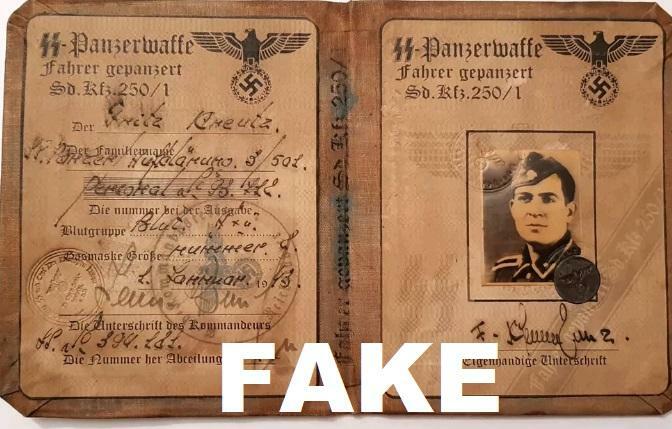 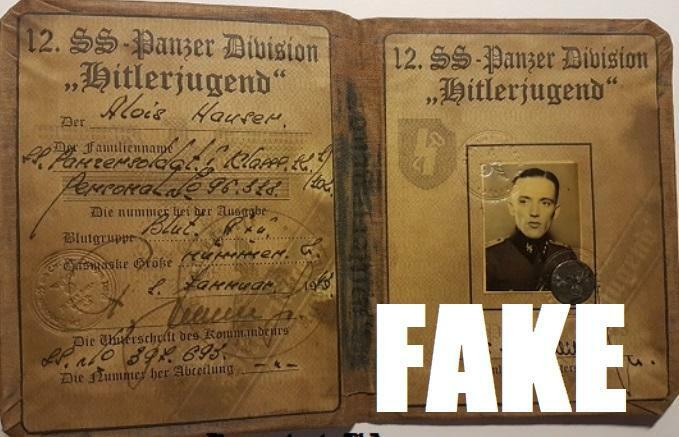 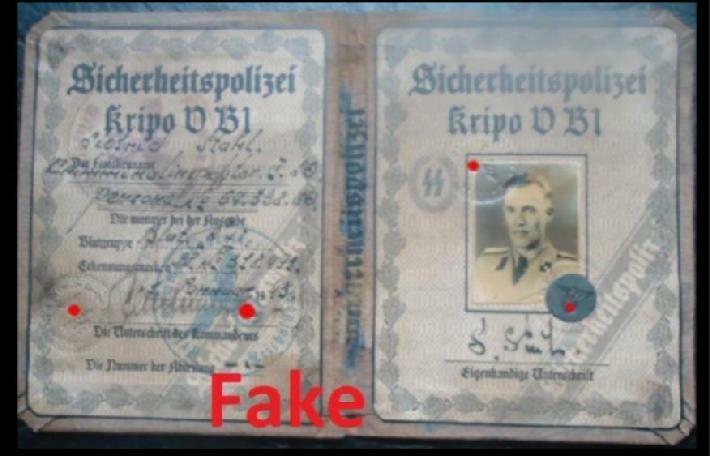 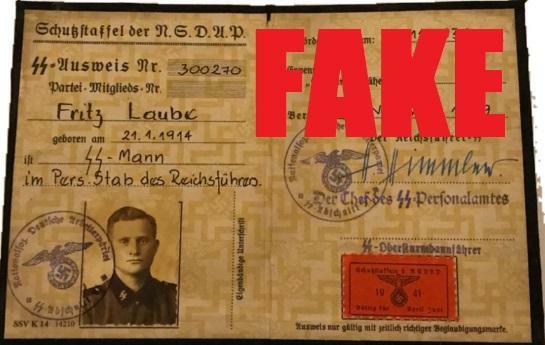 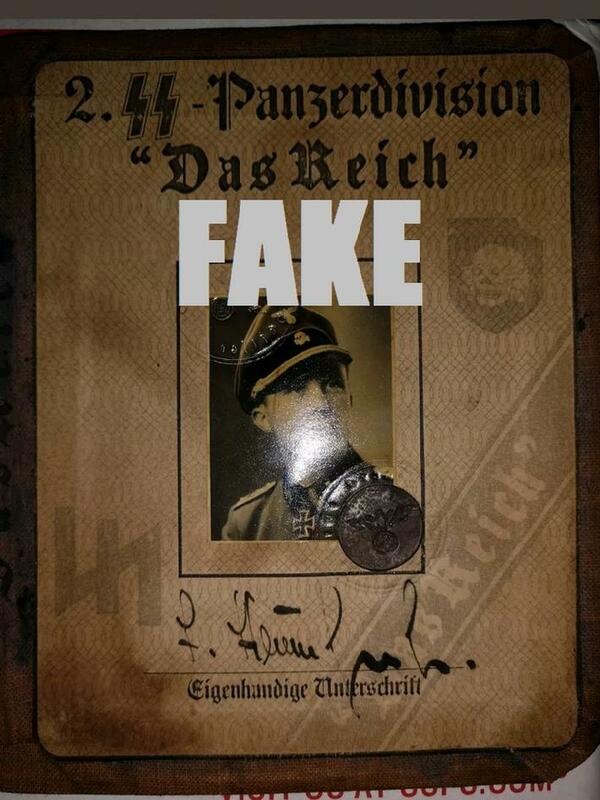 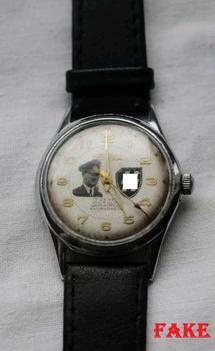 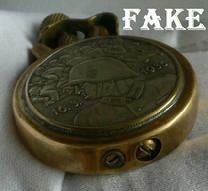 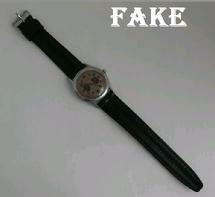 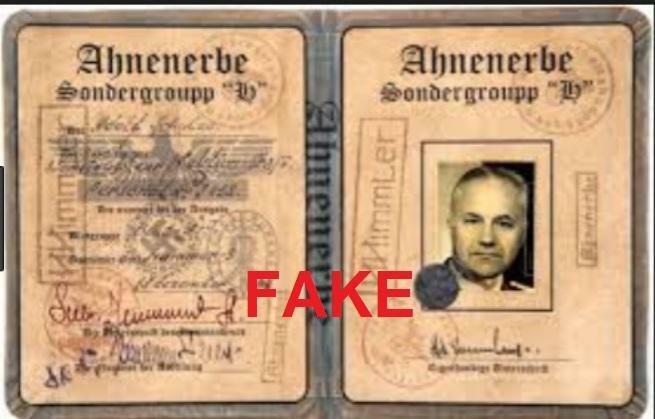 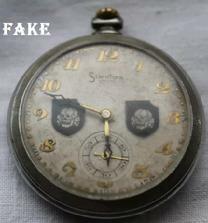 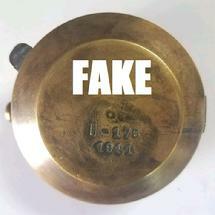 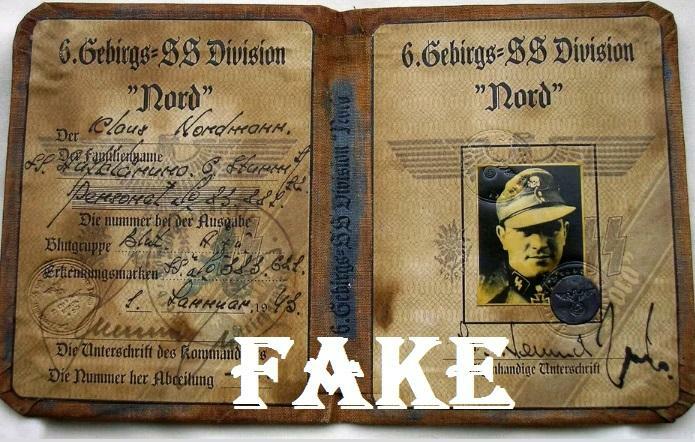 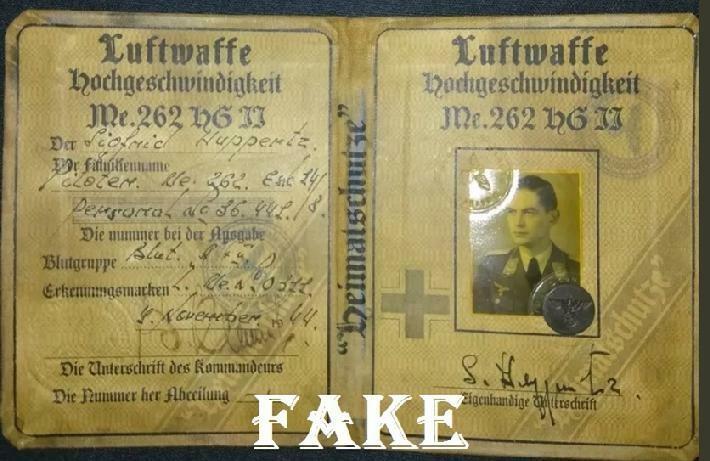 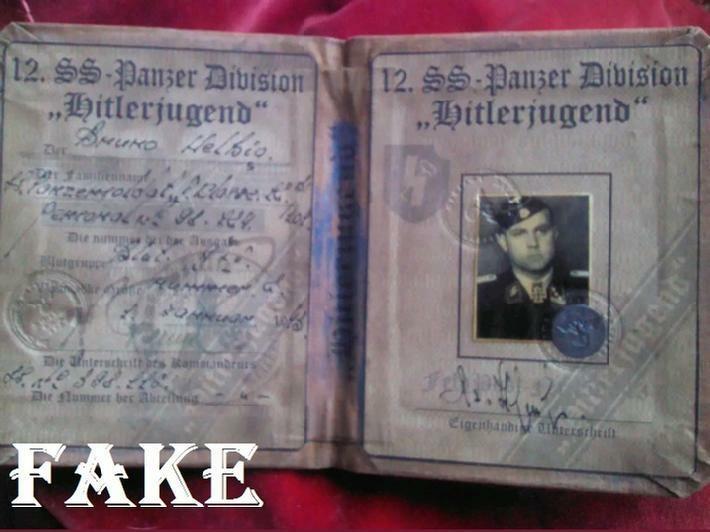 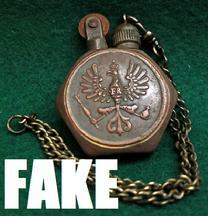 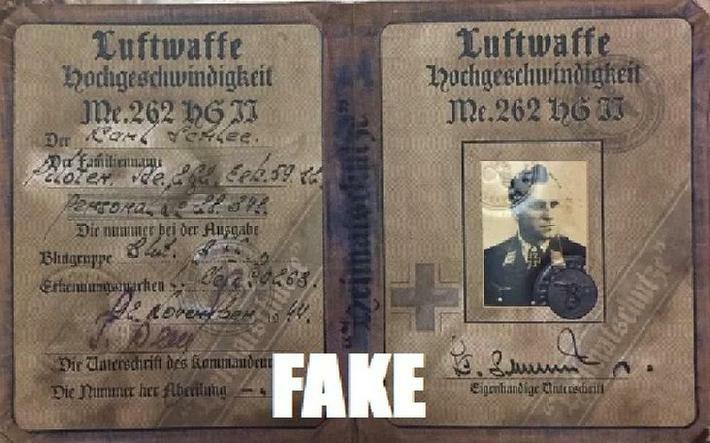 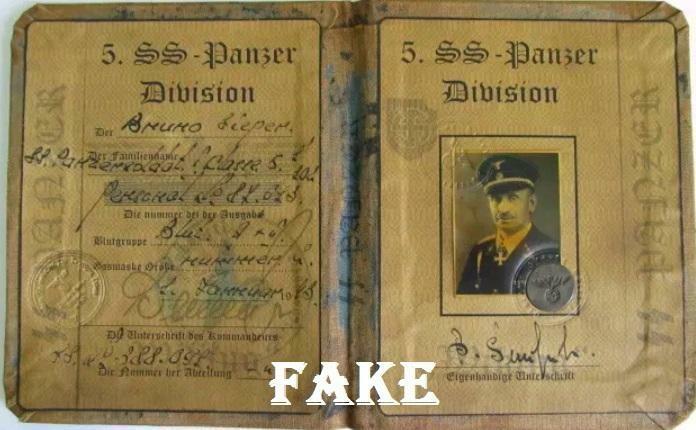 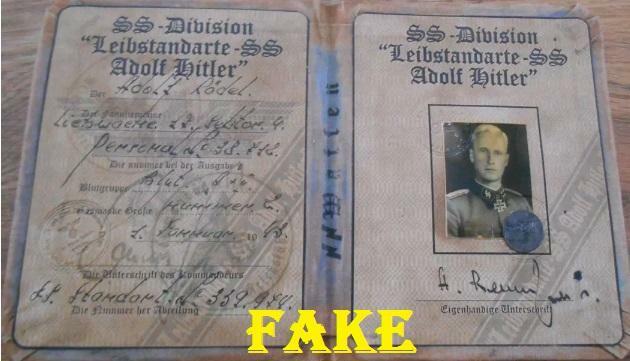 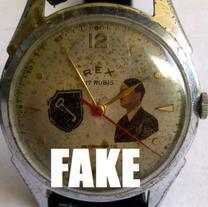 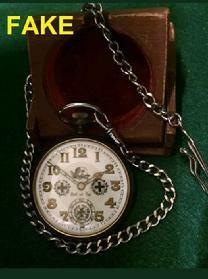 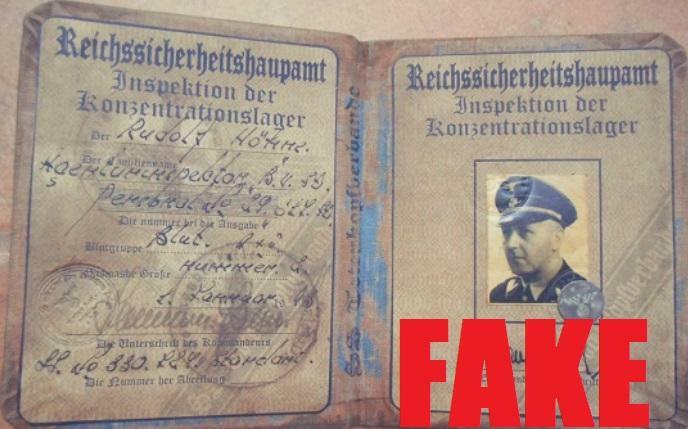 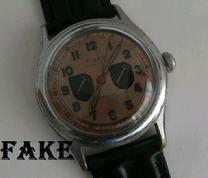 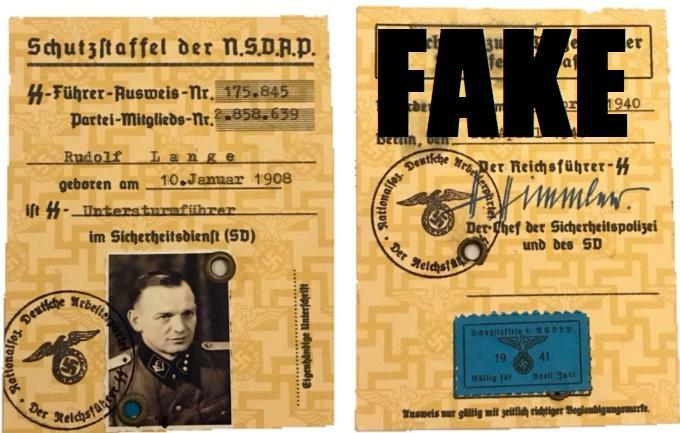 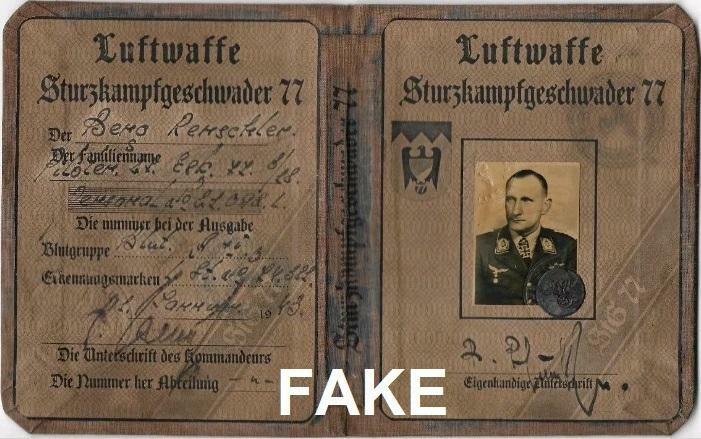 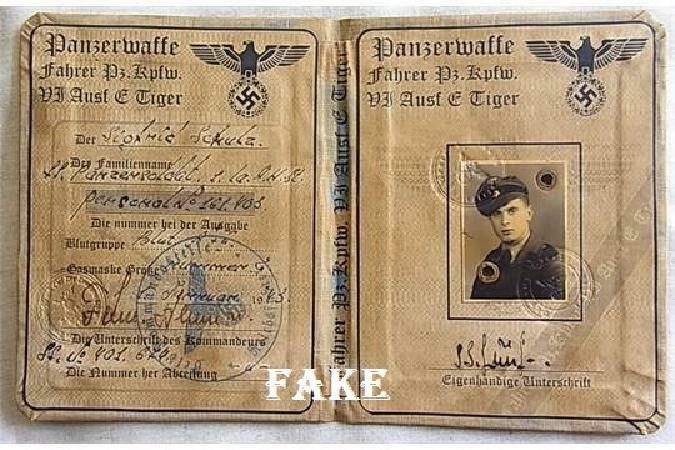 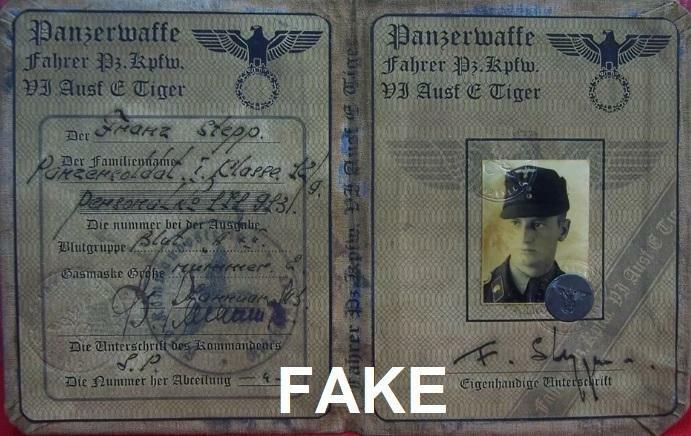 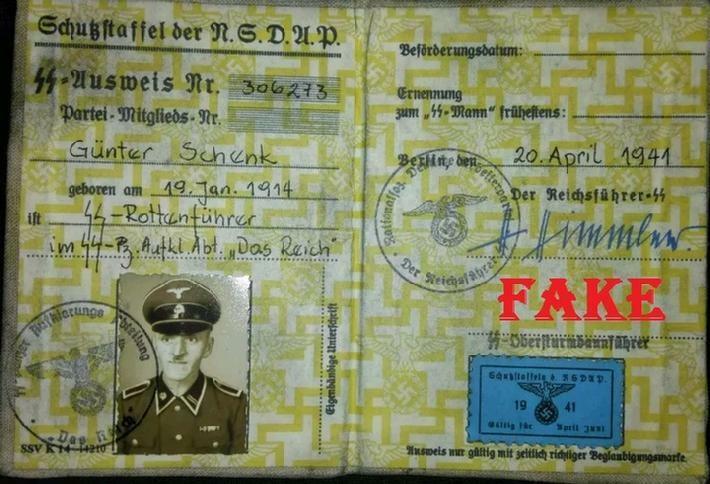 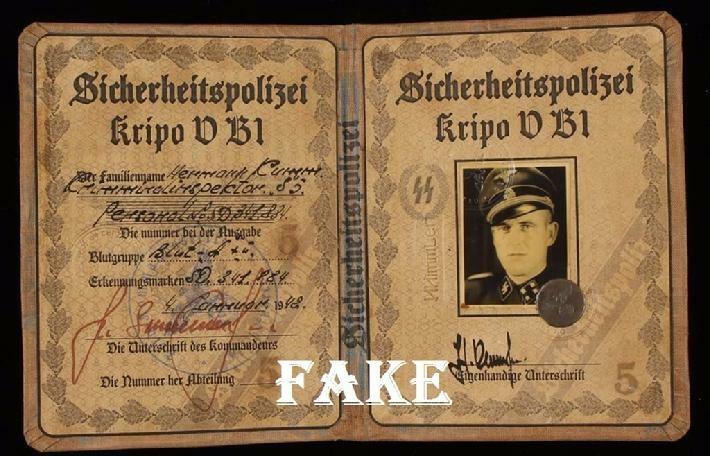 Many of the fake Nazi watches purport to be name brands such as Omega and Junghans, both of which are reputable brands. 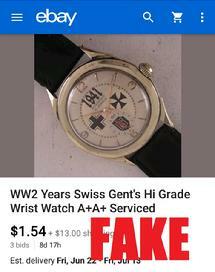 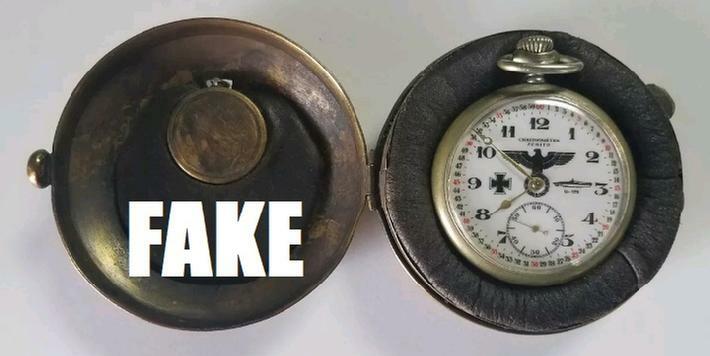 Selling a fake Omega watch with a Nazi logo is no different than selling a fake Prada purse as genuine; yet eBay turns a blind eye to these items. 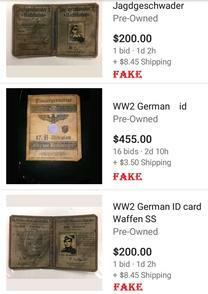 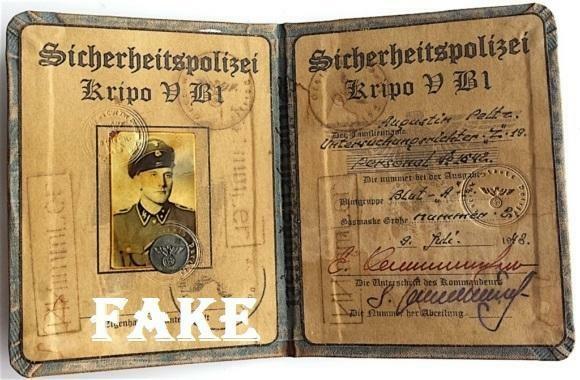 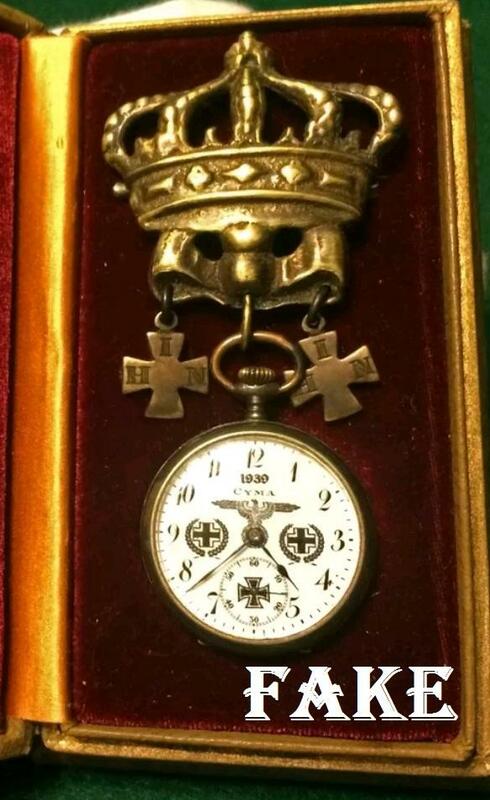 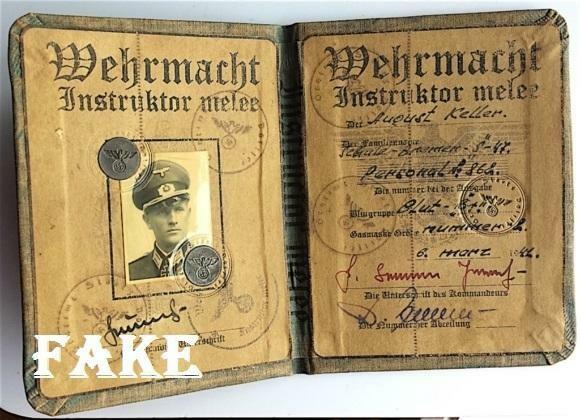 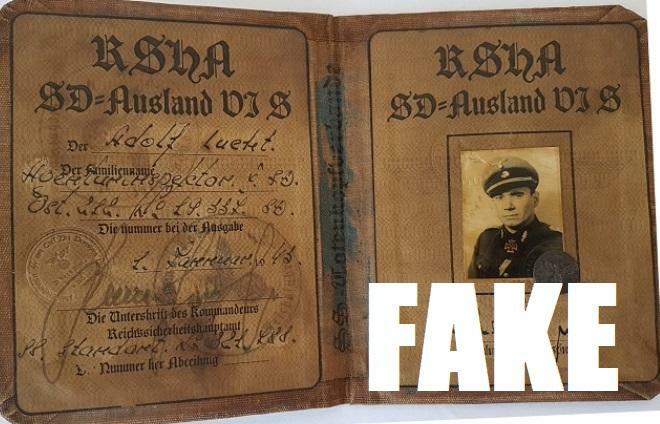 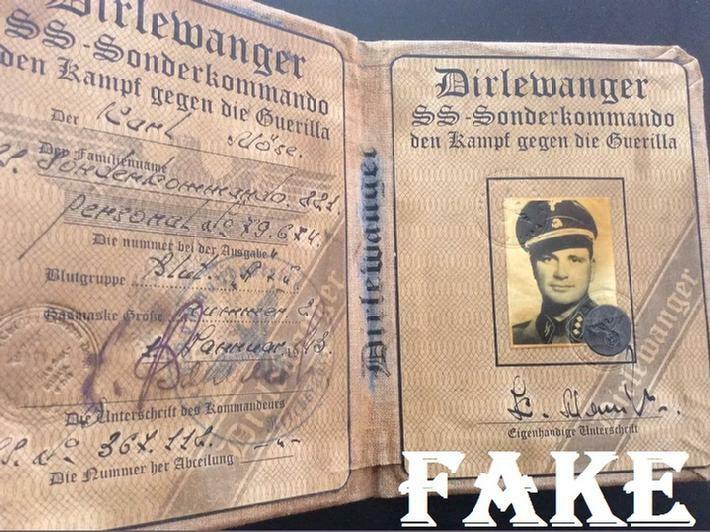 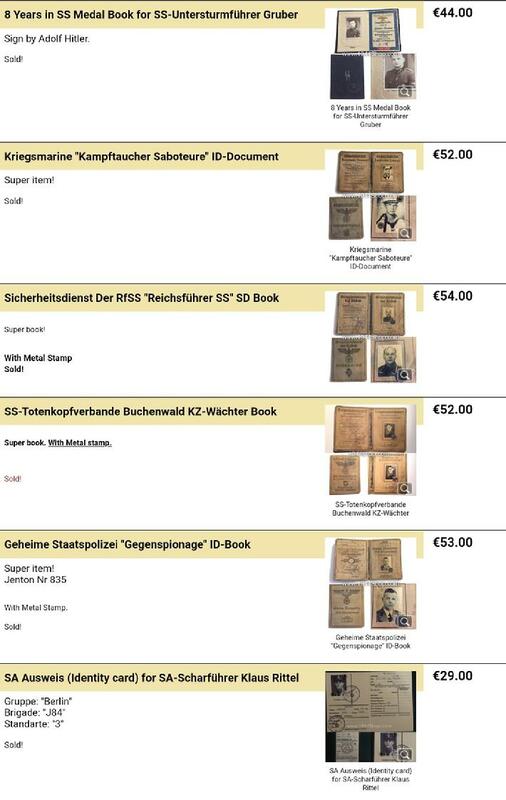 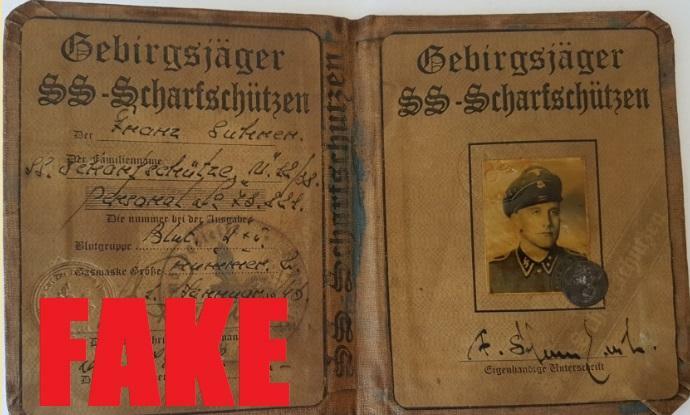 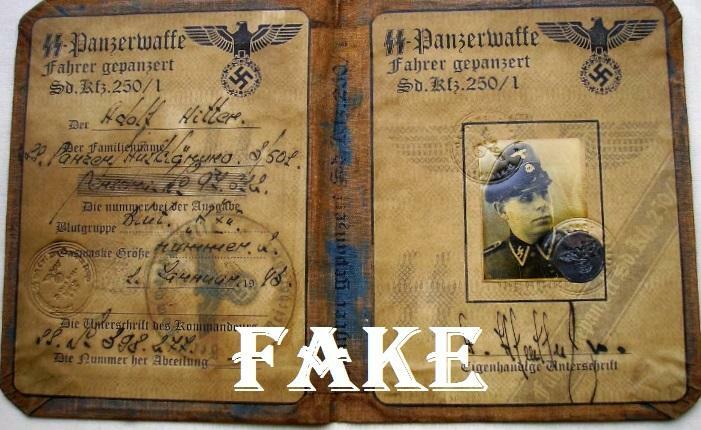 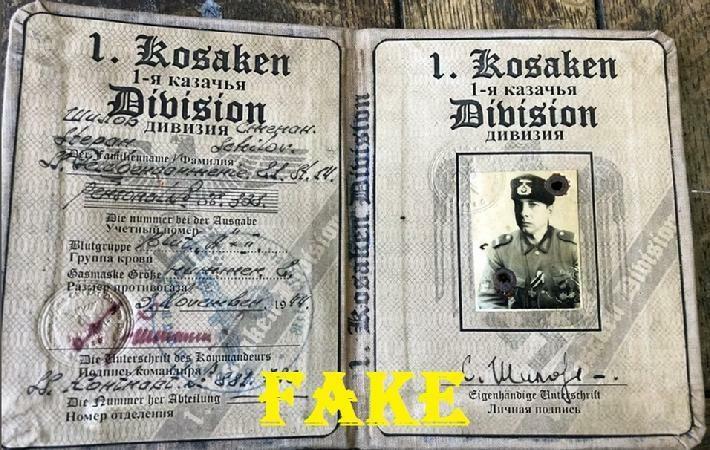 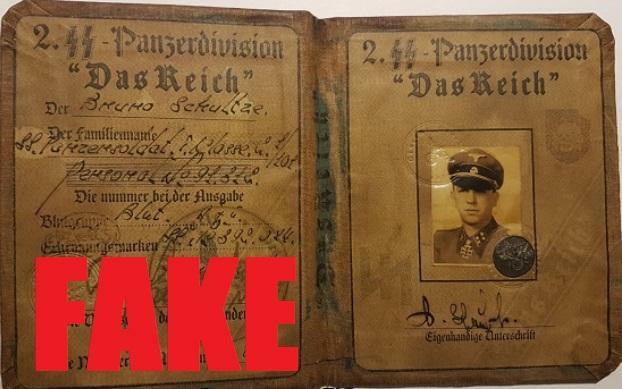 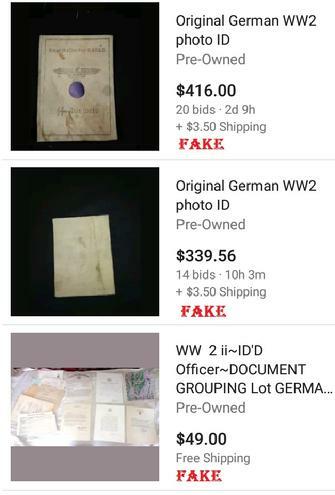 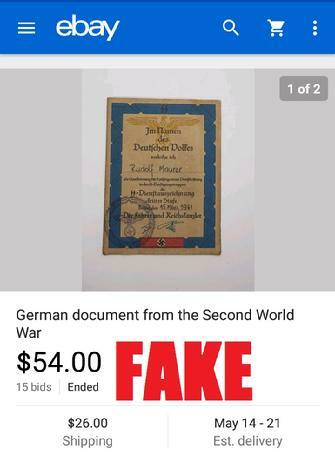 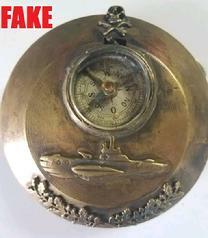 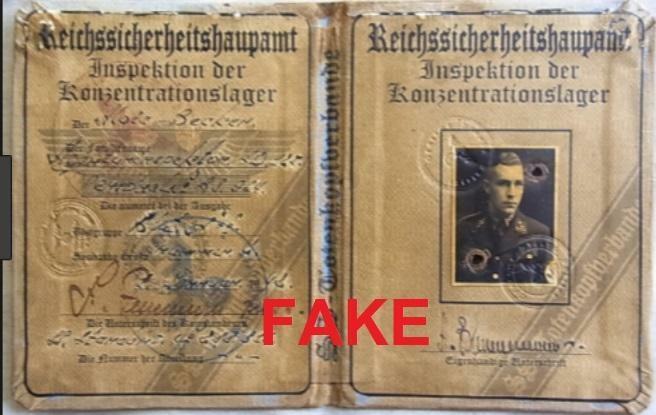 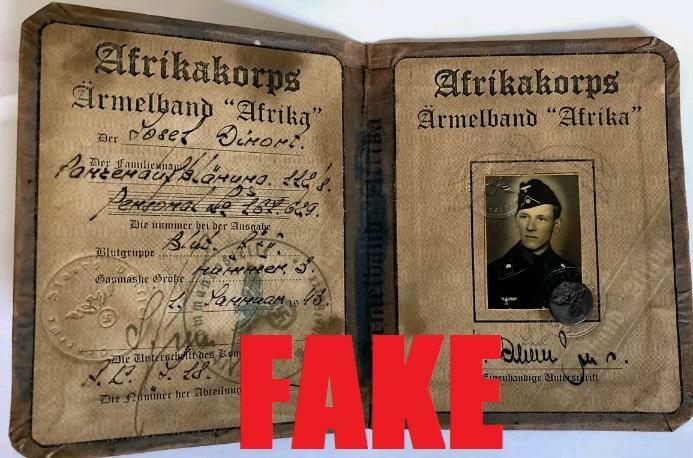 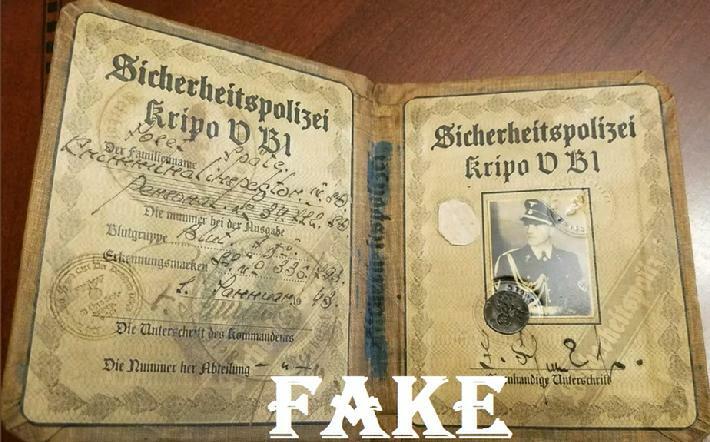 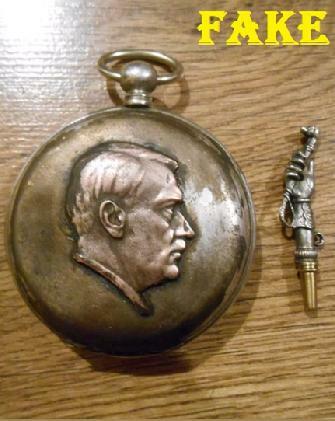 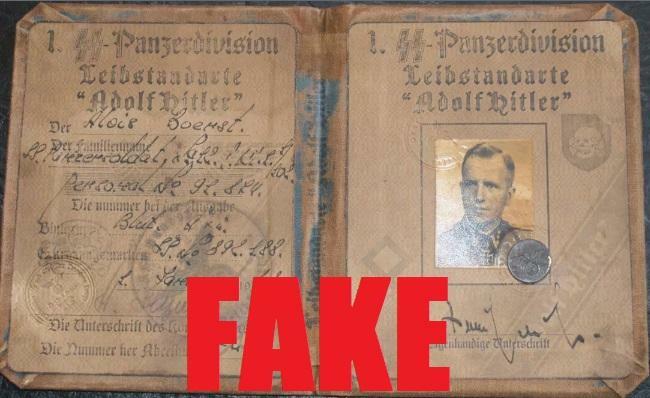 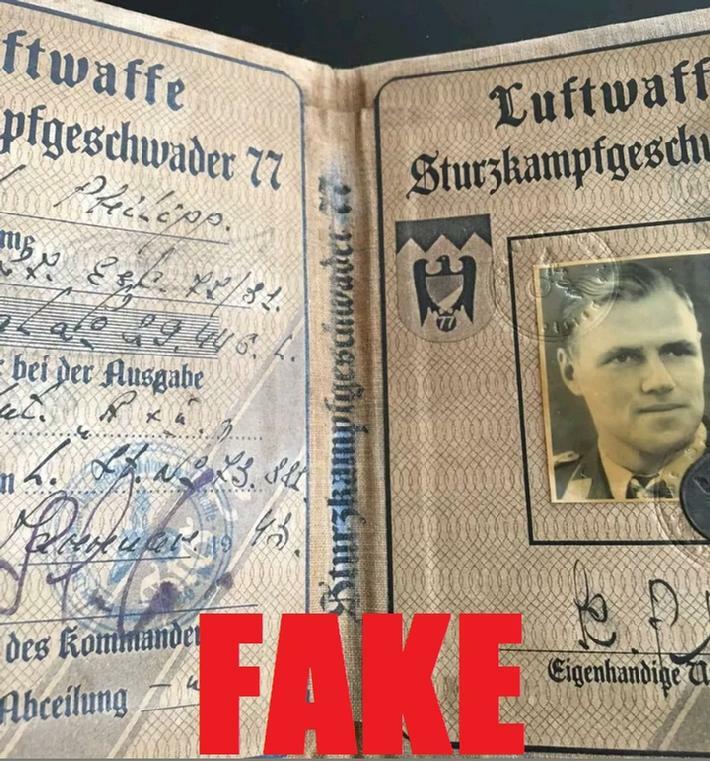 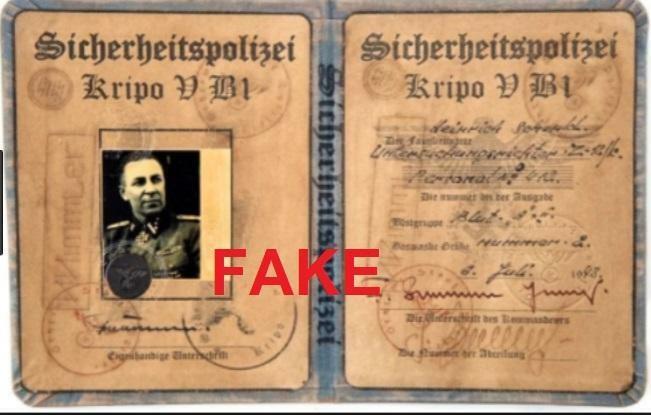 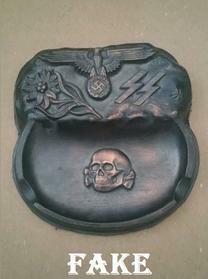 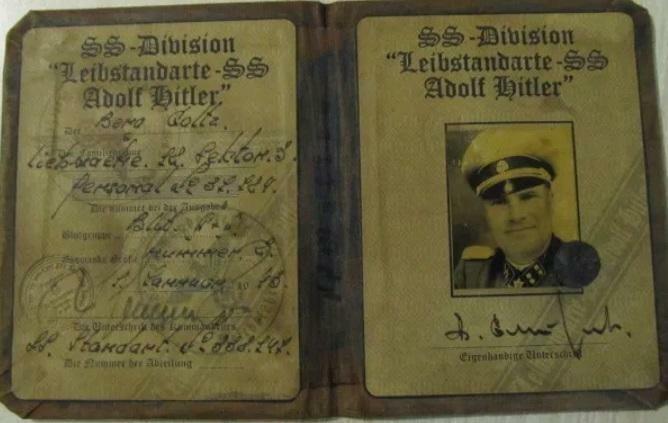 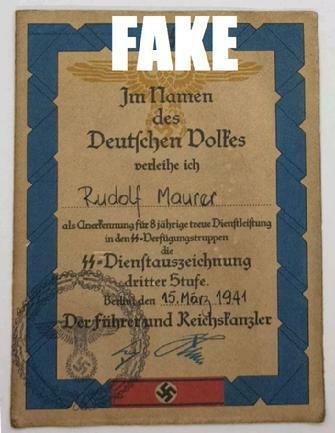 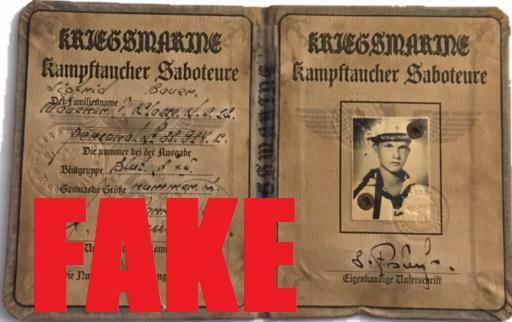 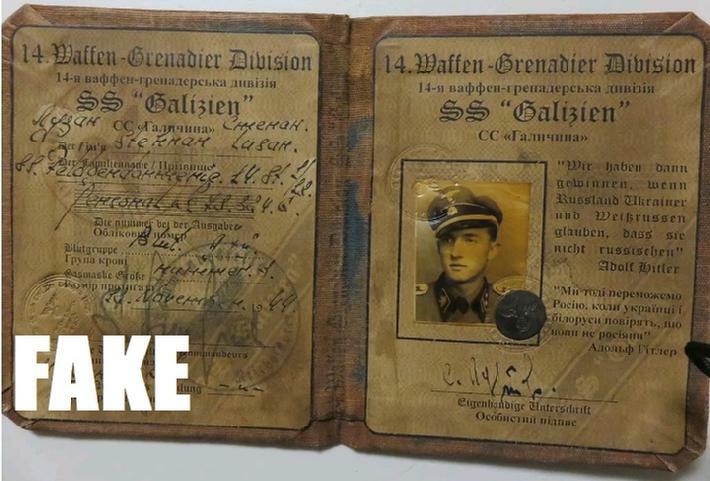 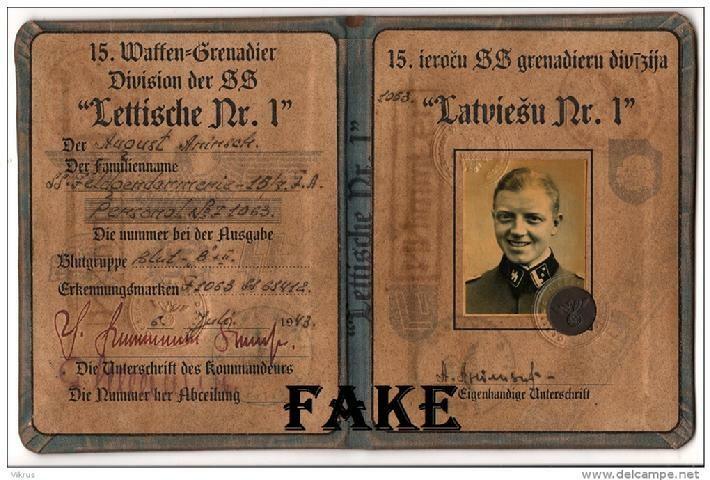 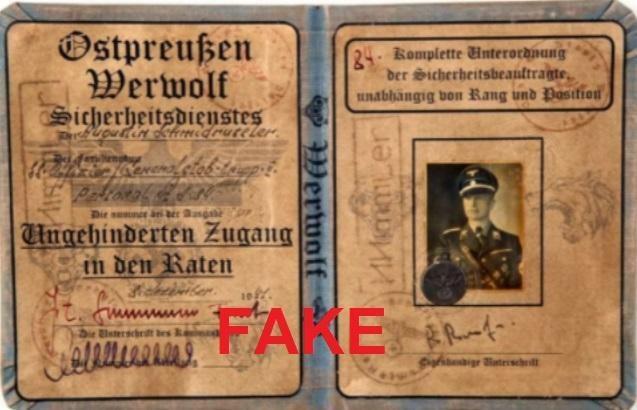 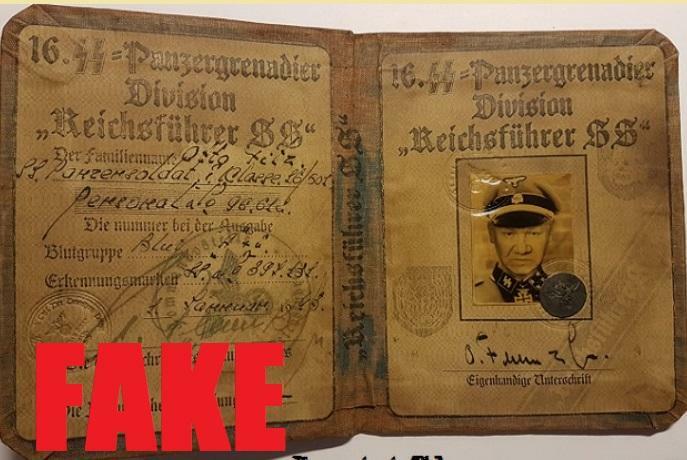 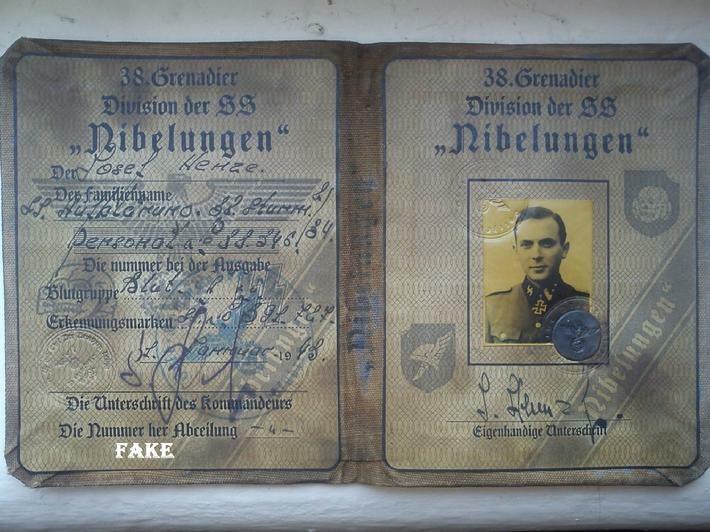 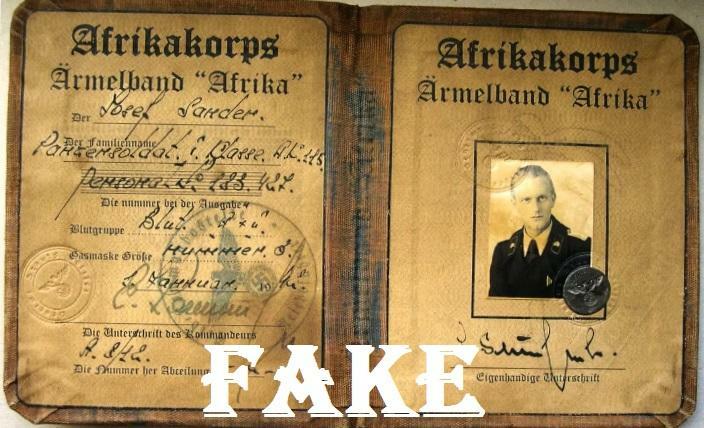 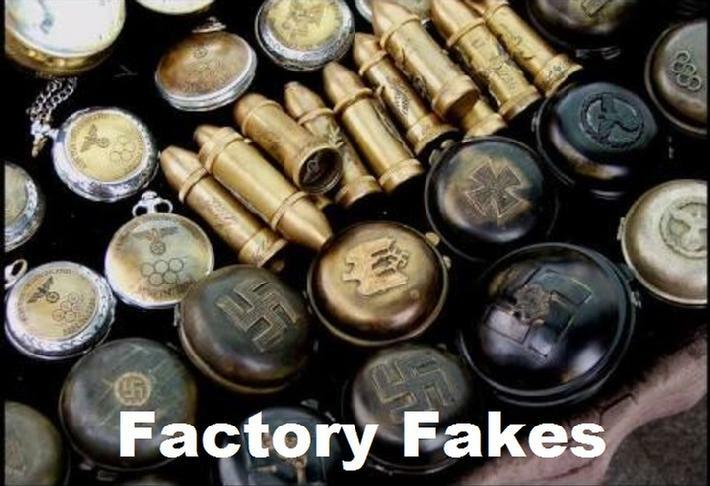 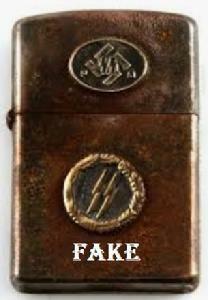 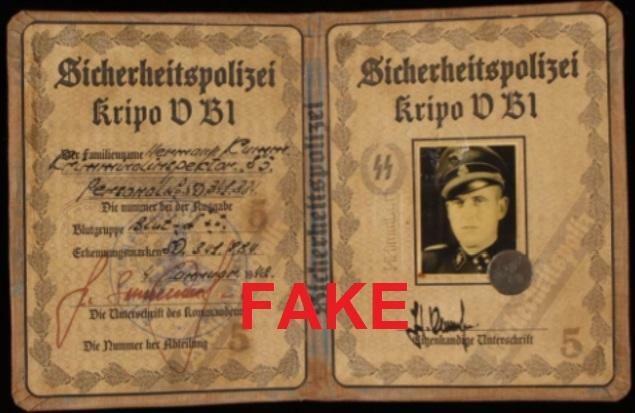 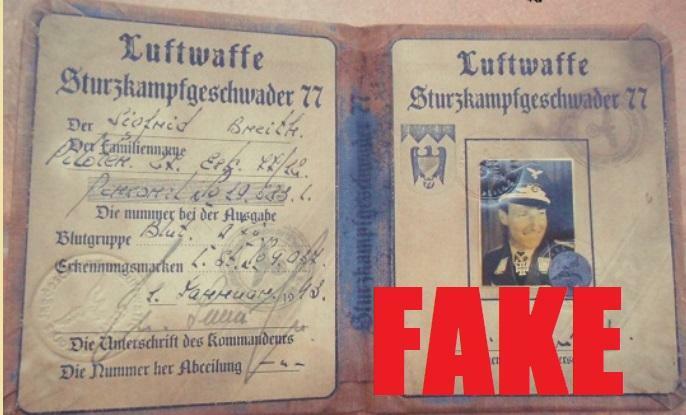 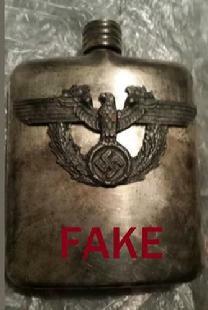 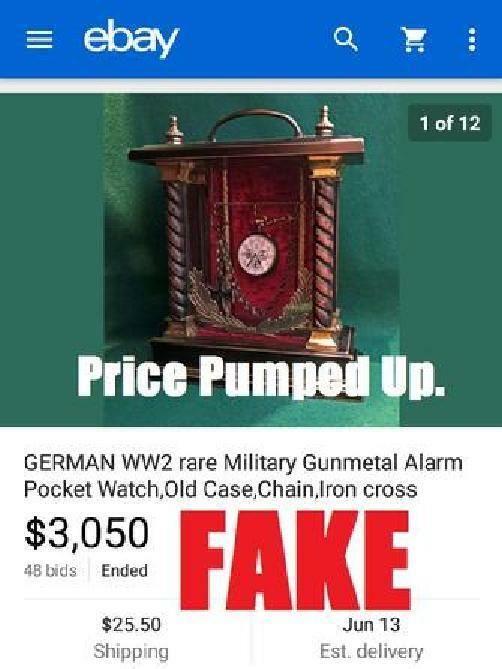 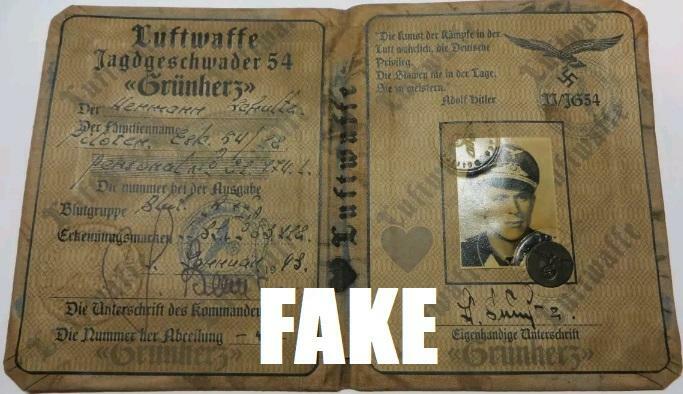 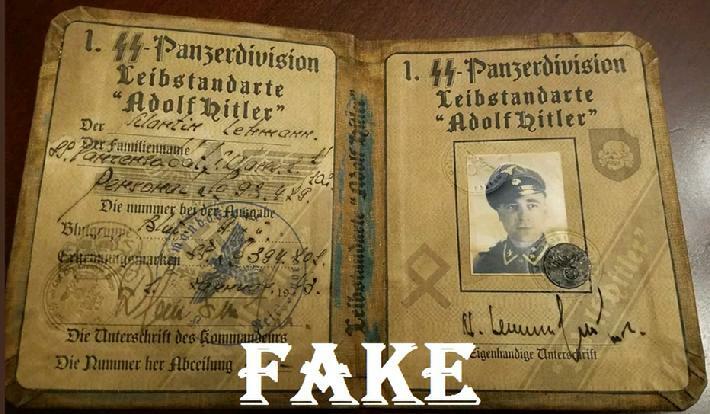 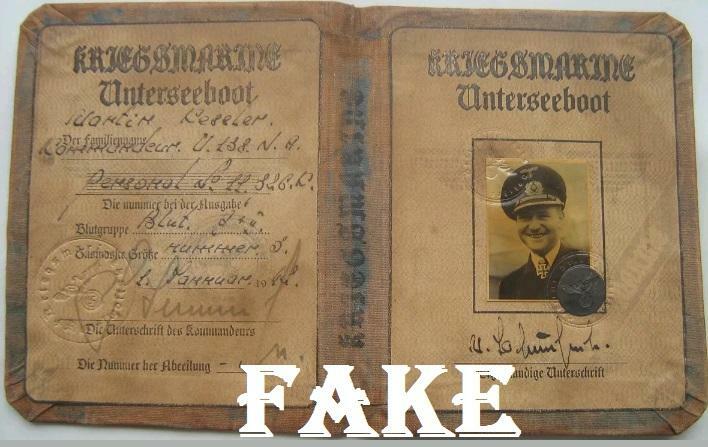 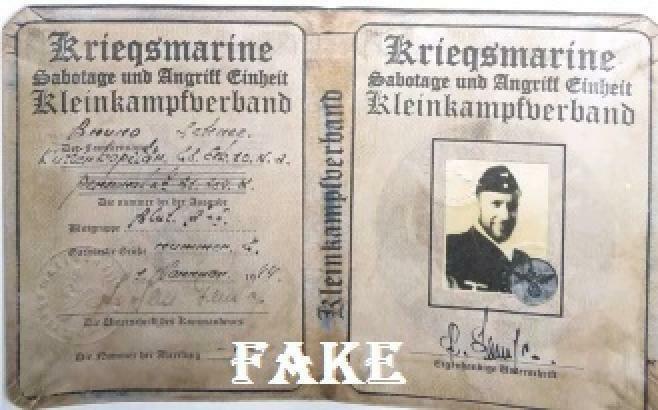 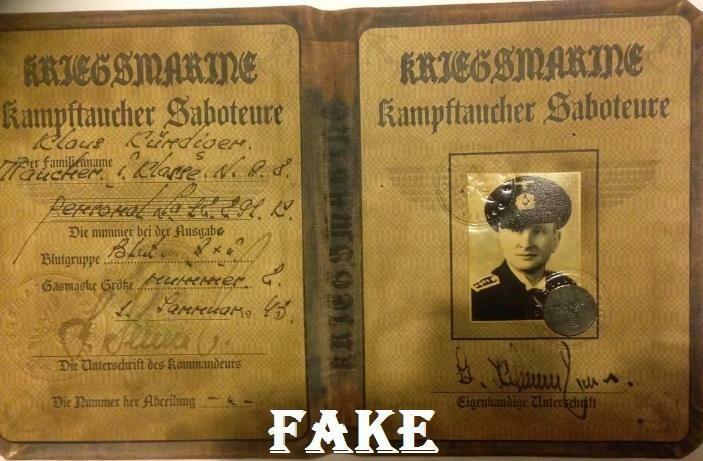 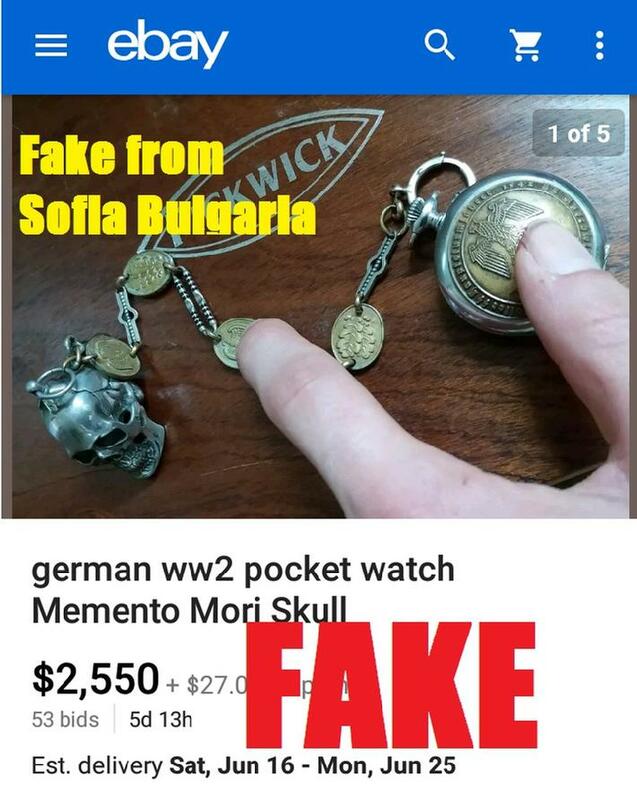 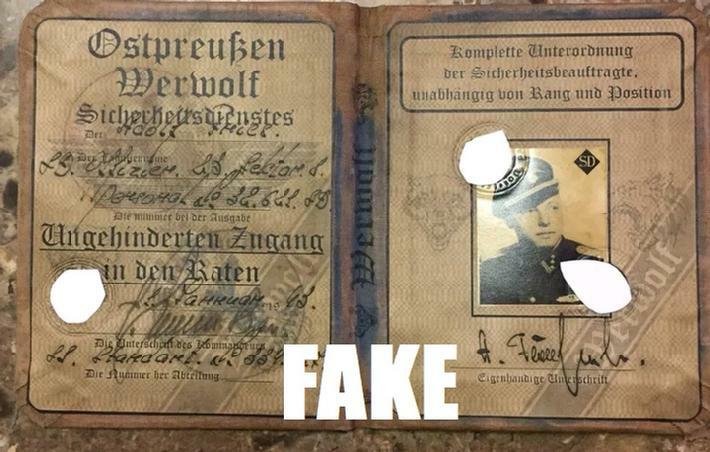 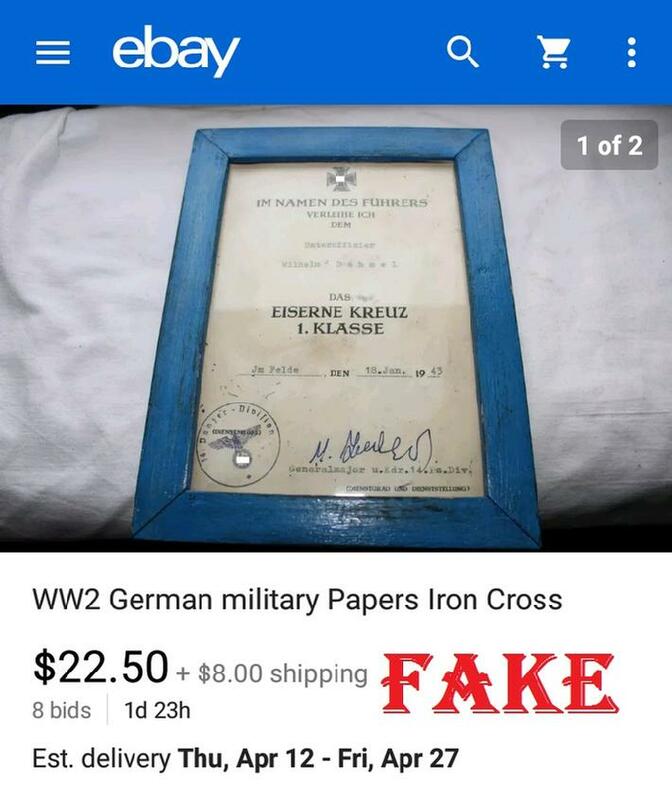 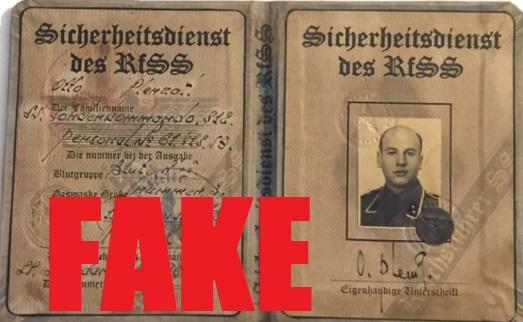 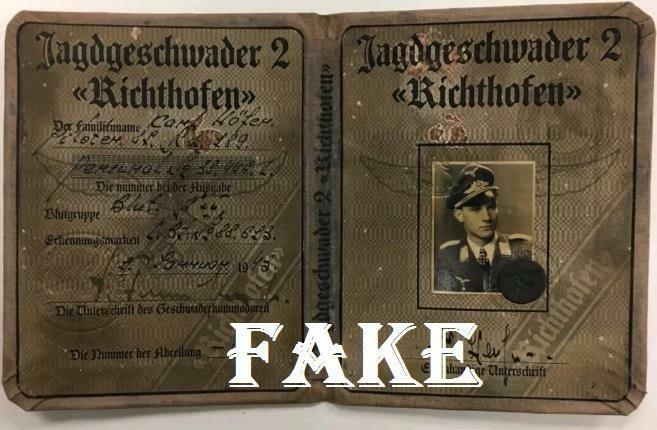 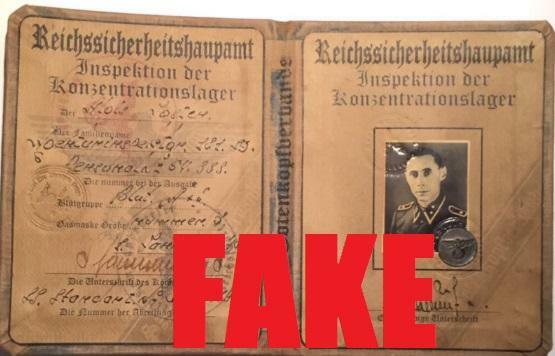 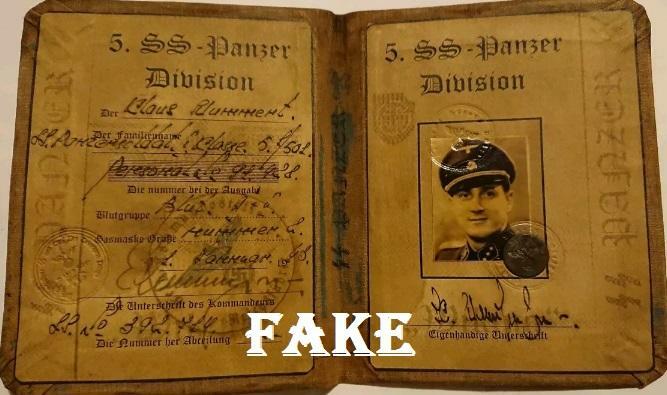 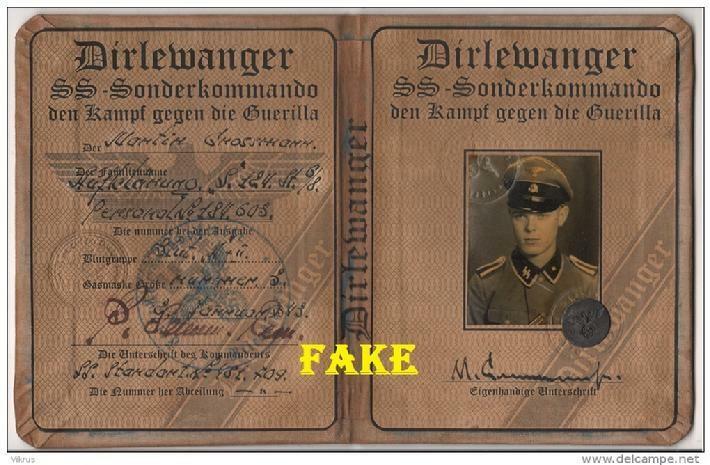 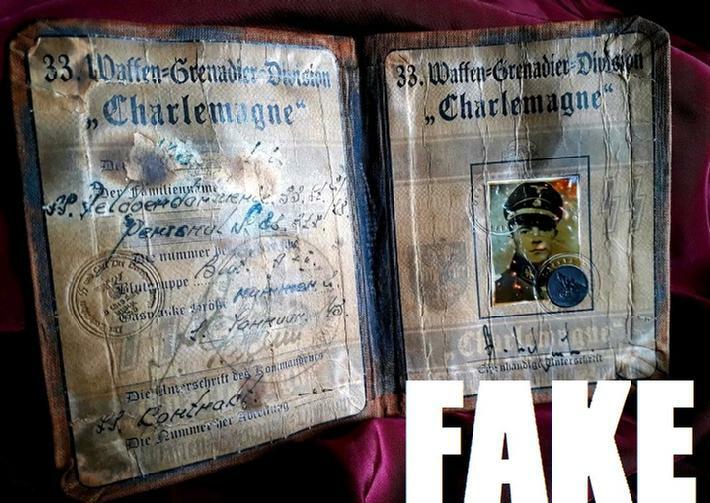 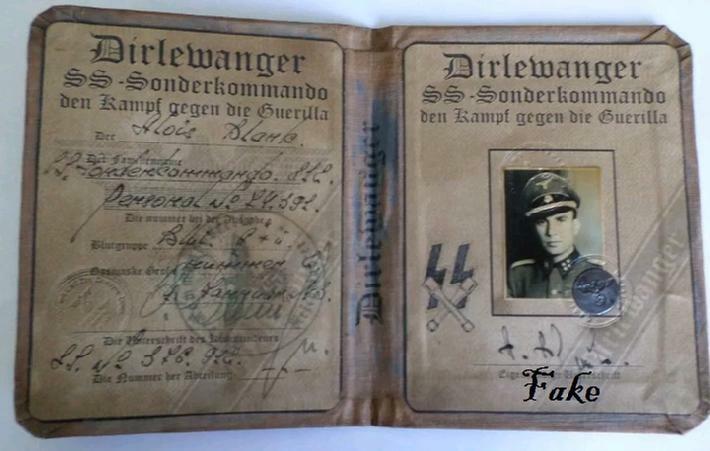 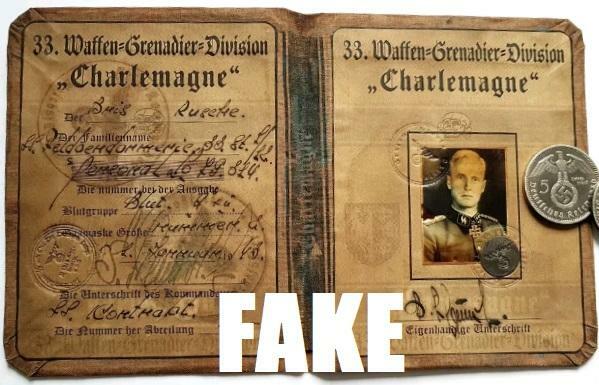 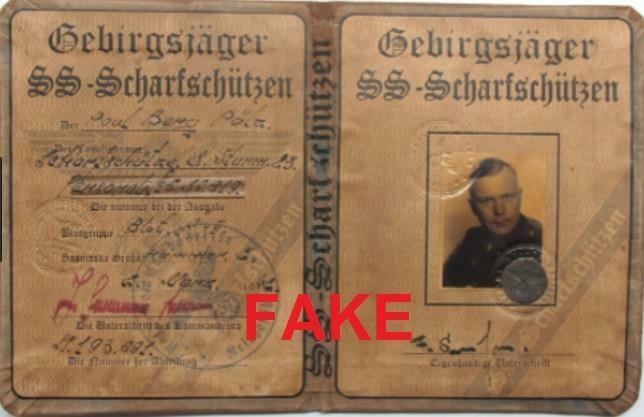 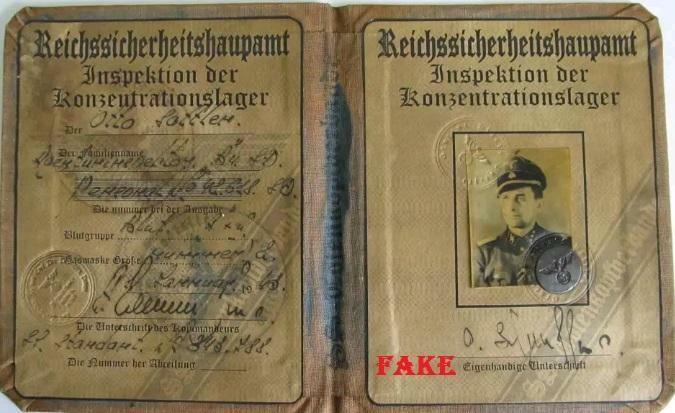 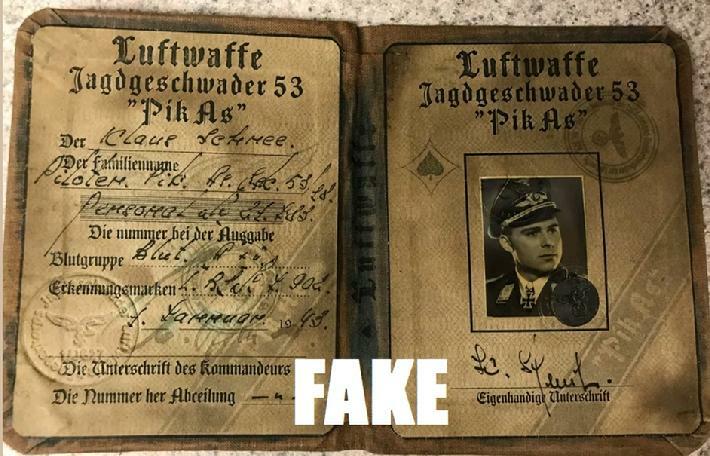 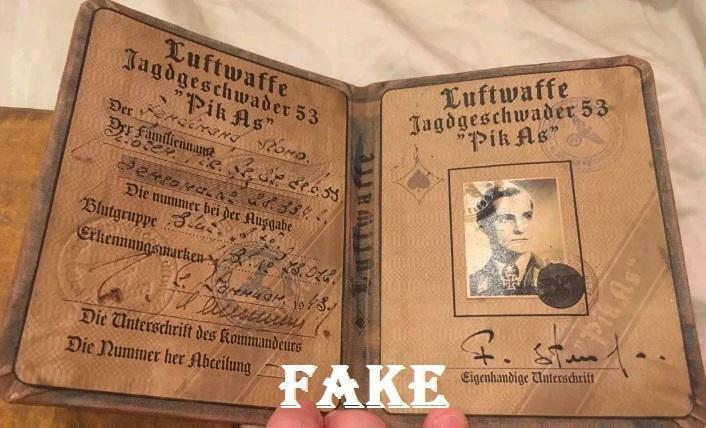 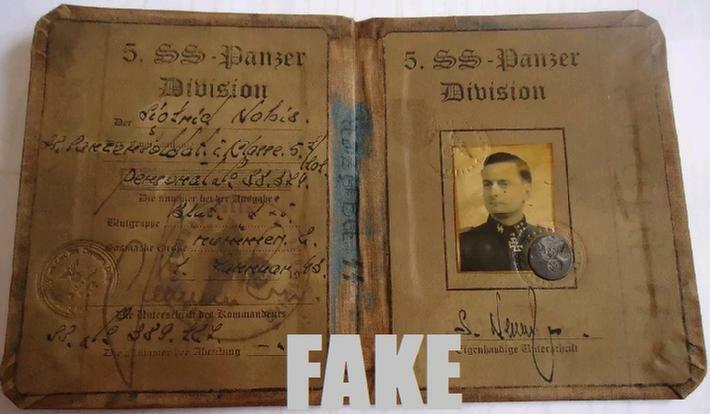 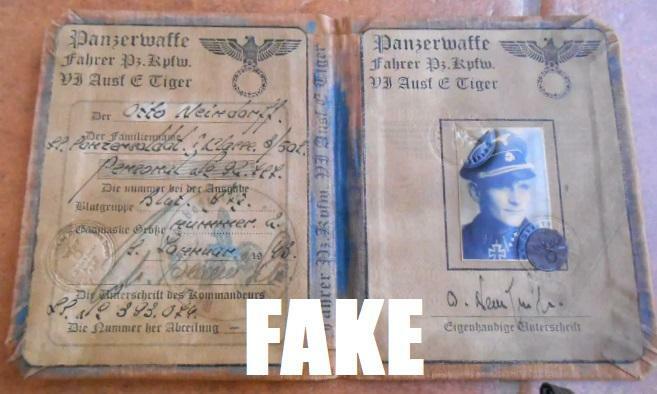 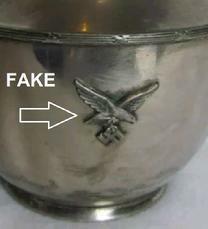 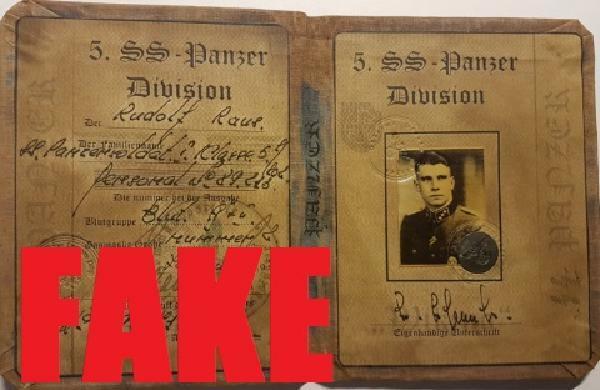 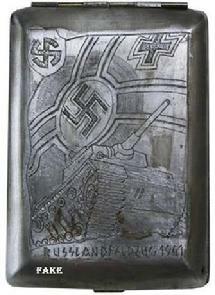 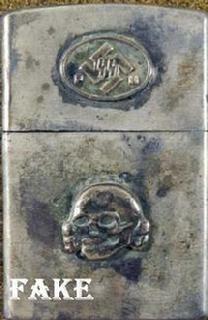 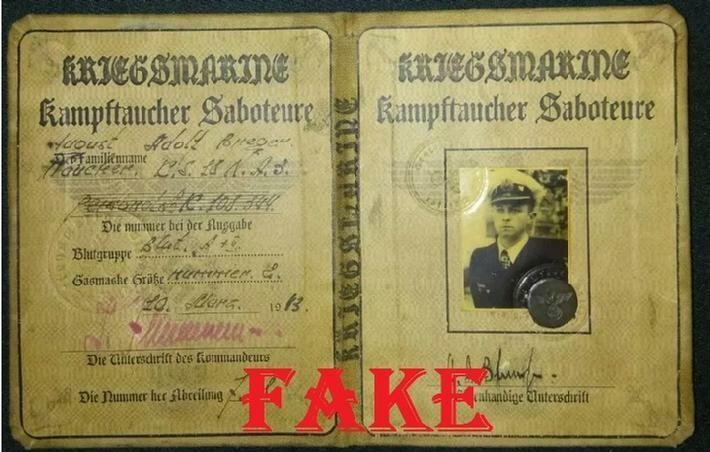 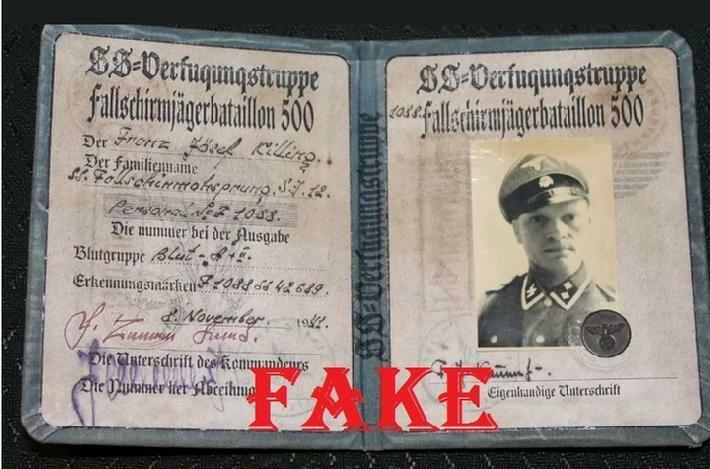 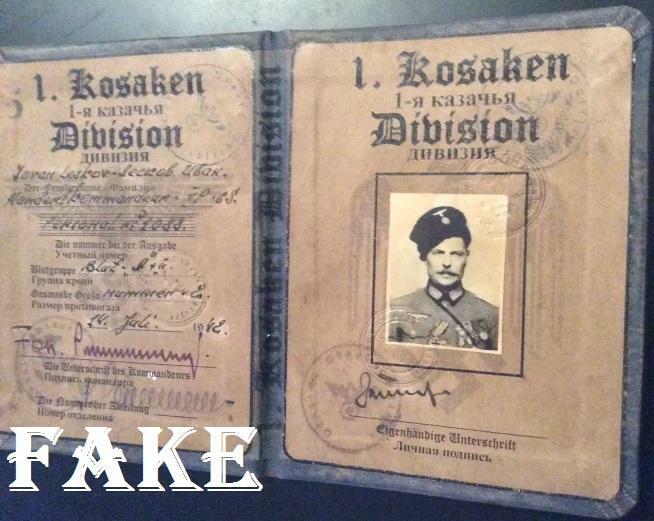 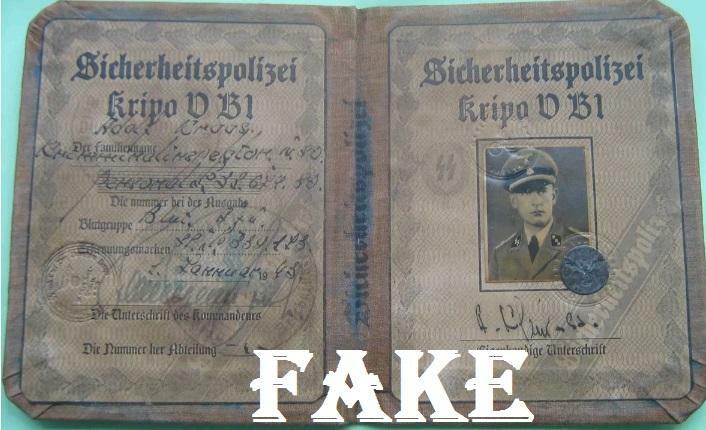 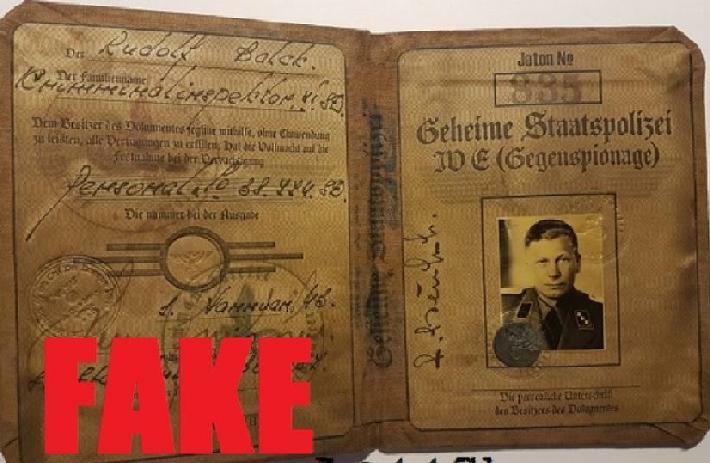 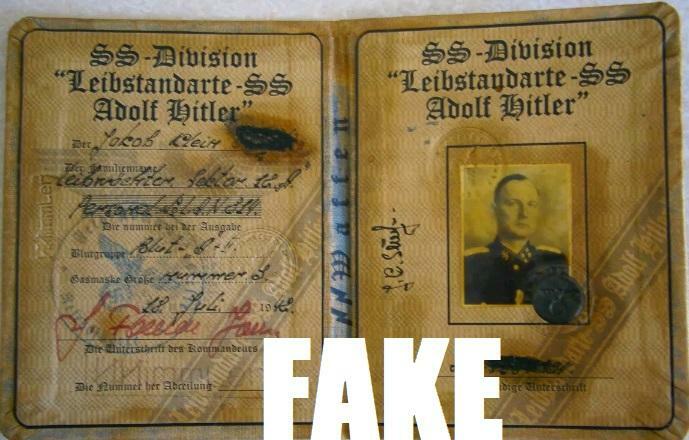 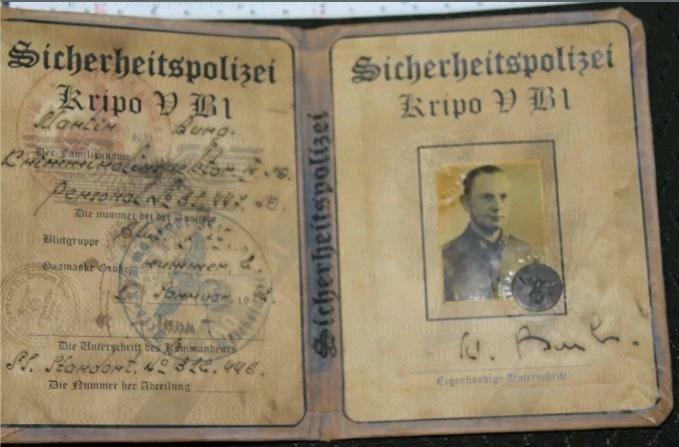 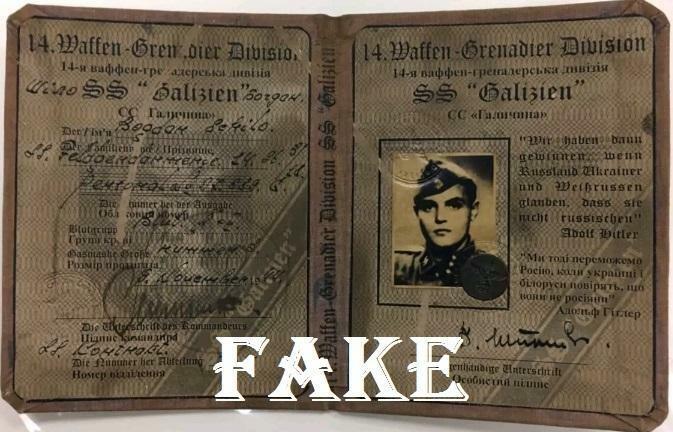 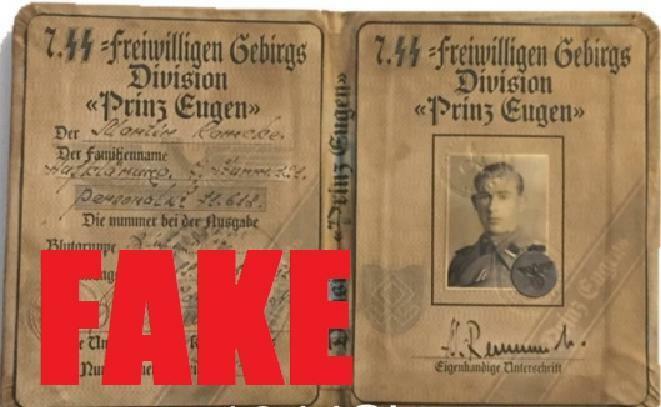 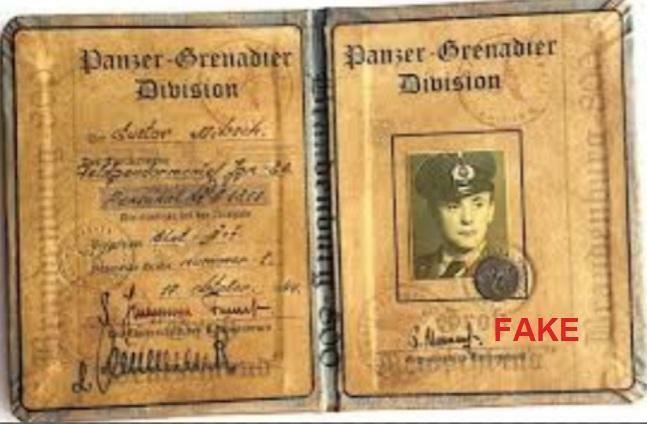 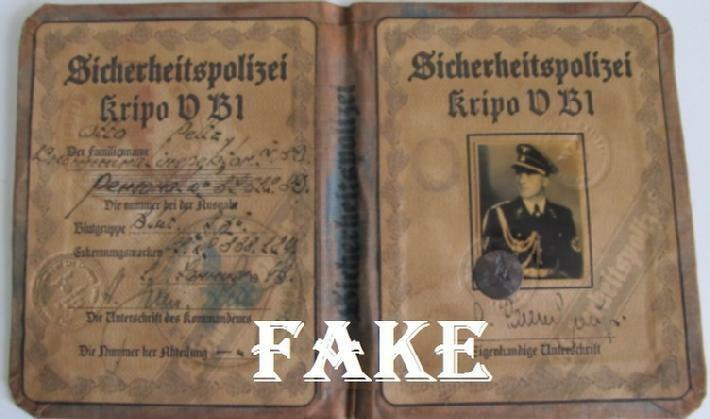 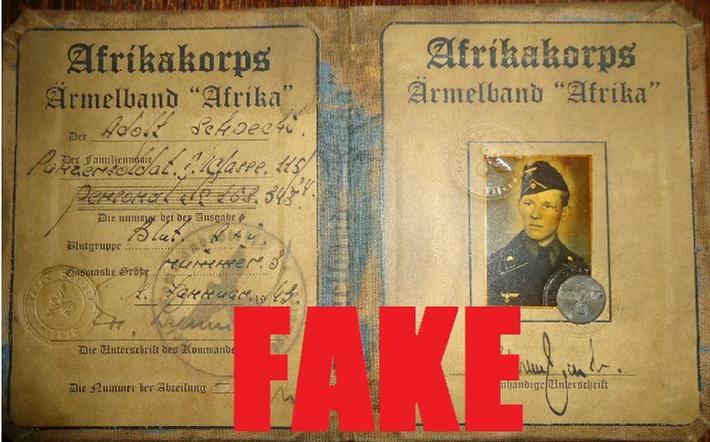 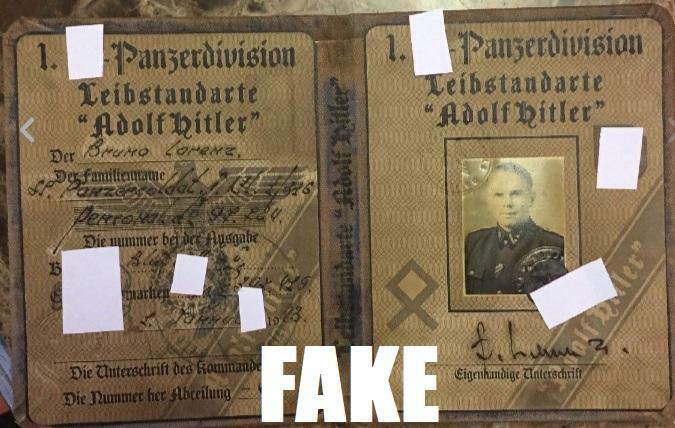 I have however seen many Nazi items removed, but they were items that were genuine Nazi relics, so perhaps they just enjoy watching people buy the fakes and making a tidy profit in the process. 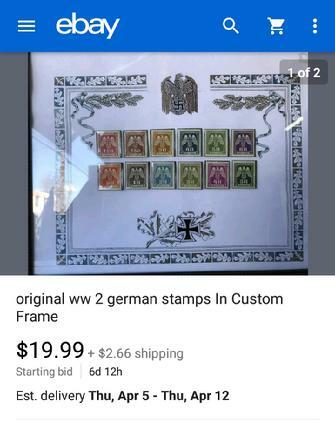 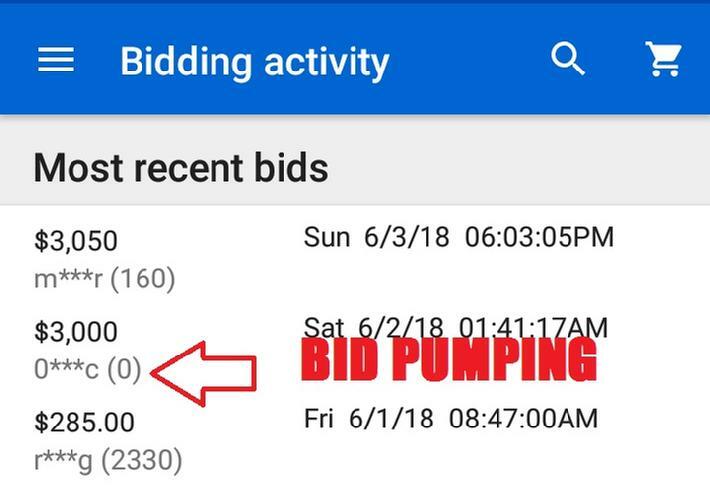 I believe eBay’s standard fee is twenty cents per listing and 8% of the final sell price including shipping up to $50.00 and then 5% up to $1000. 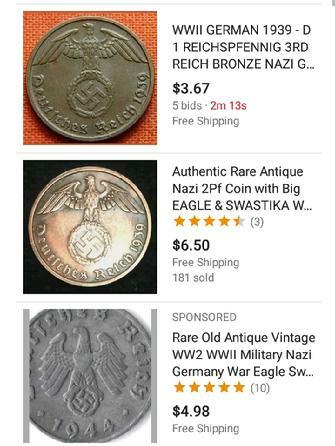 Nevertheless, below you will get a pretty good idea of what eBay has going.